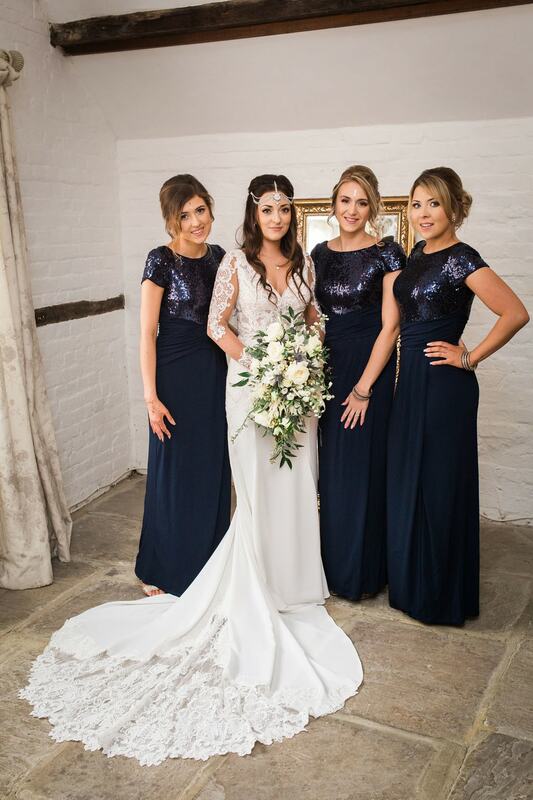 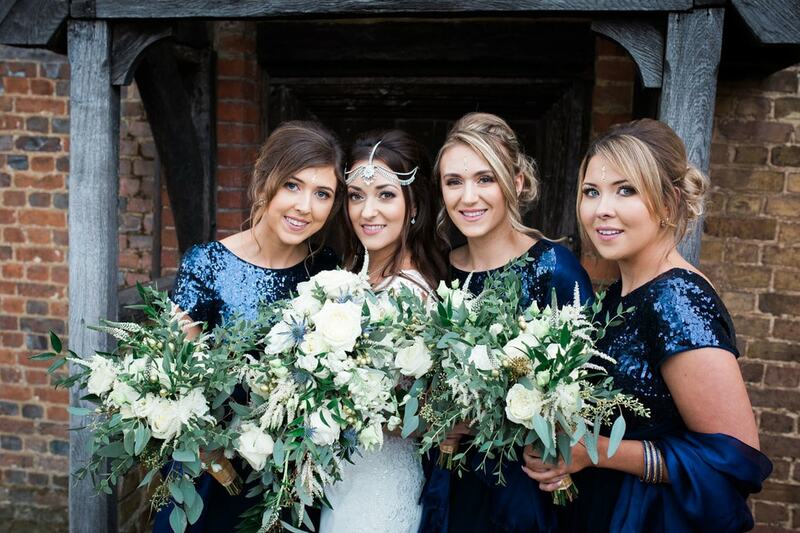 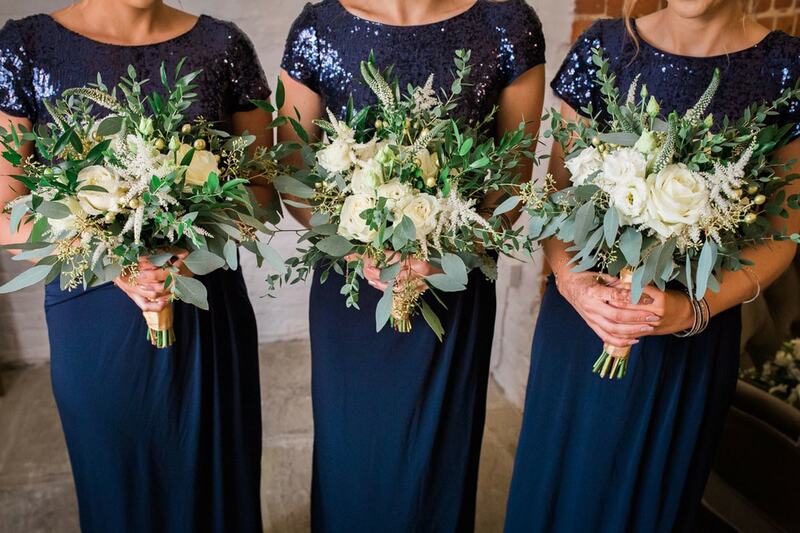 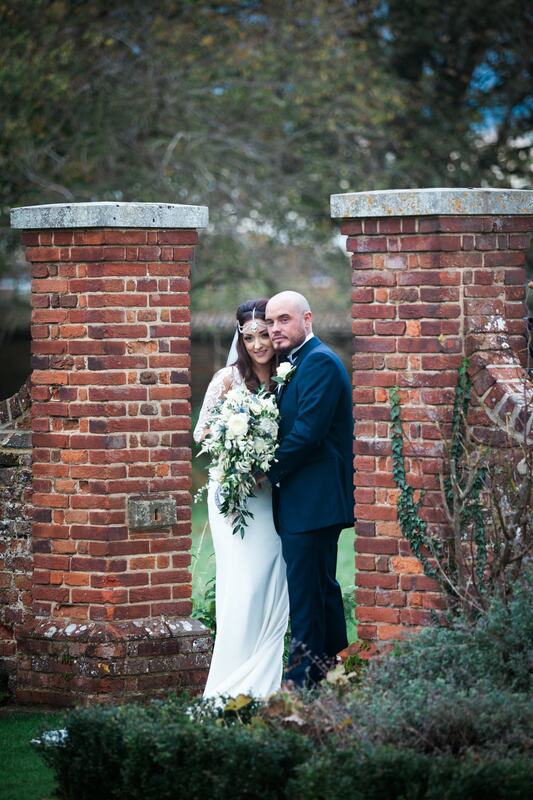 Today I am thrilled to share this beautiful winter wedding at Lillibrooke Manor with navy and gold details. 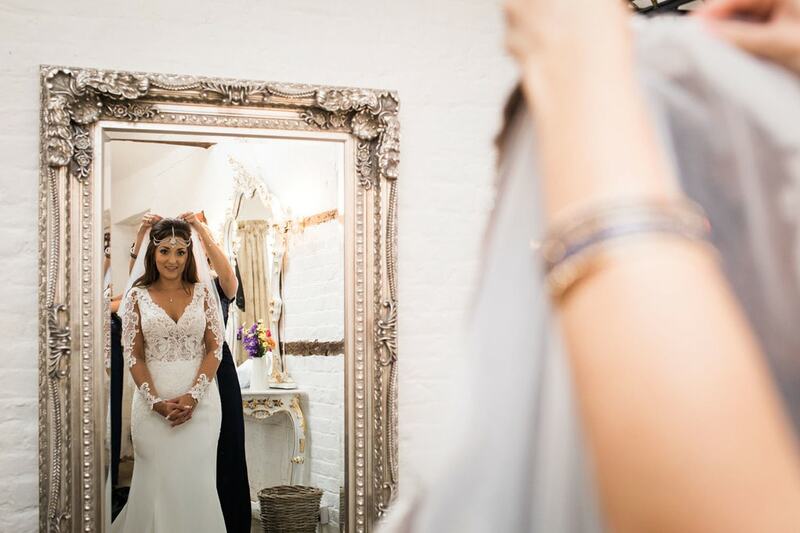 Images were captured by Heni Fourie Photography. 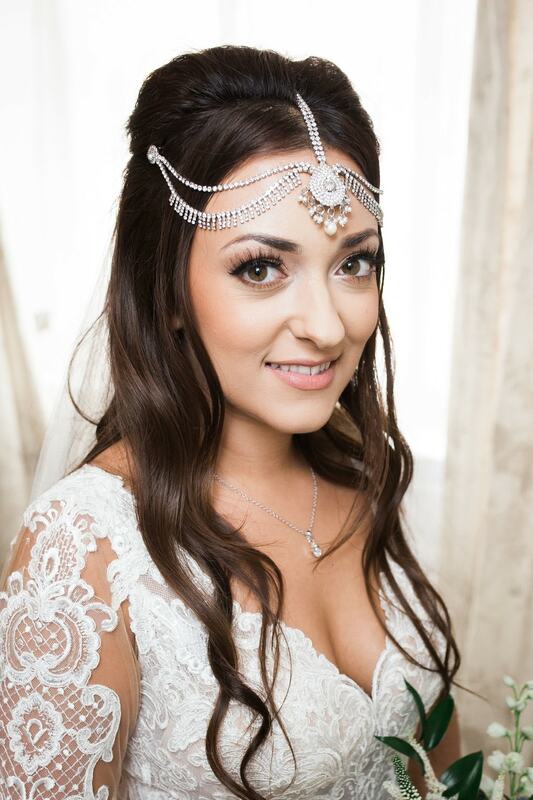 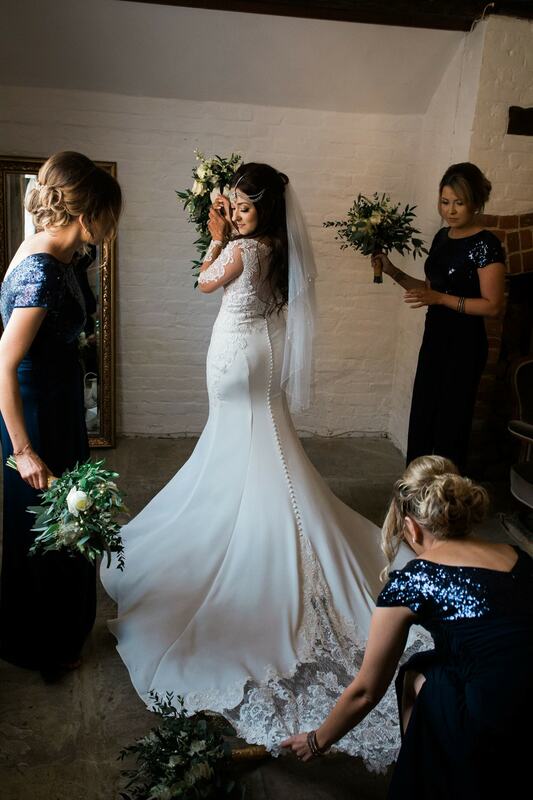 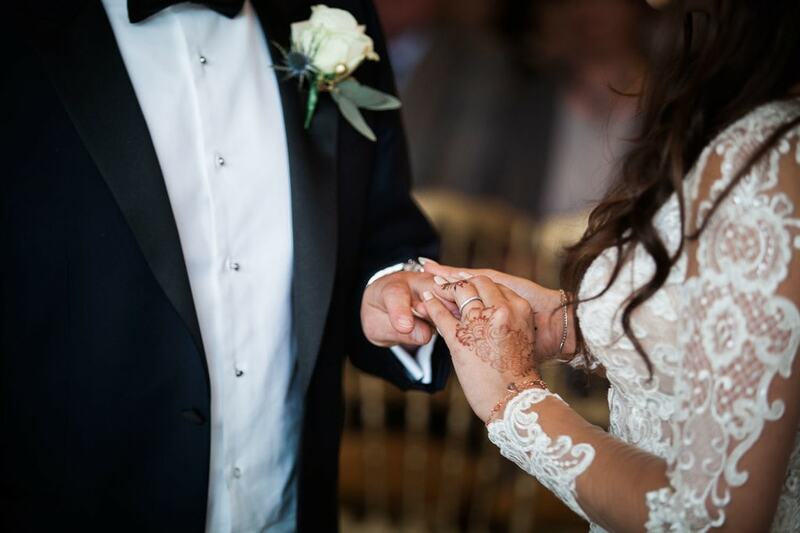 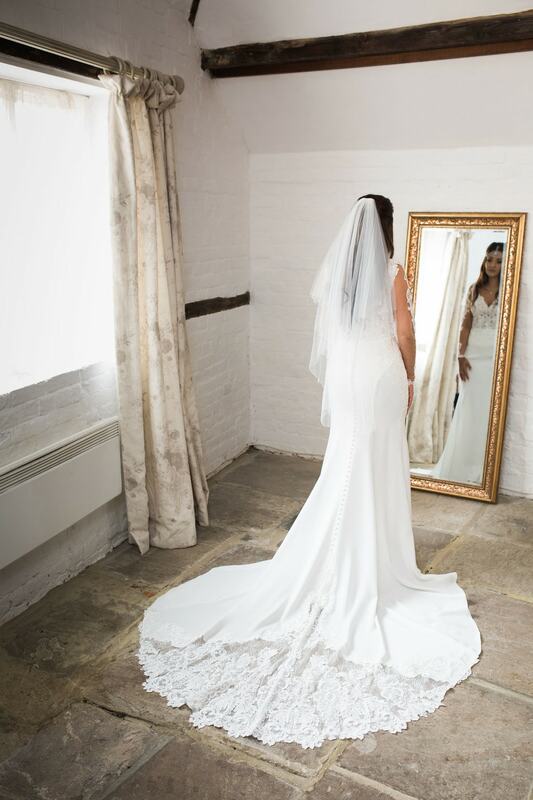 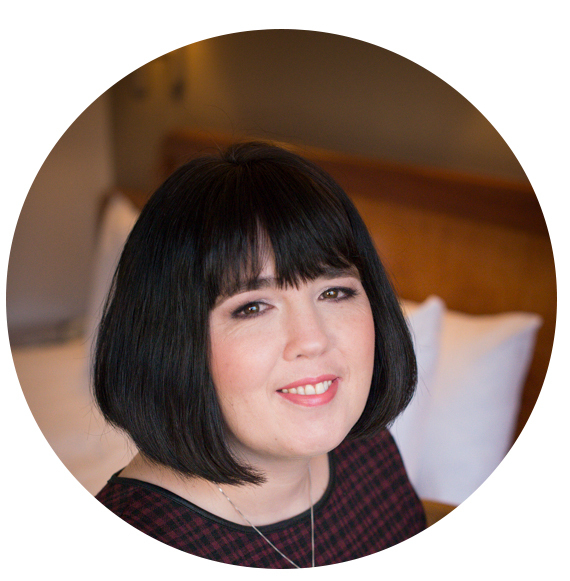 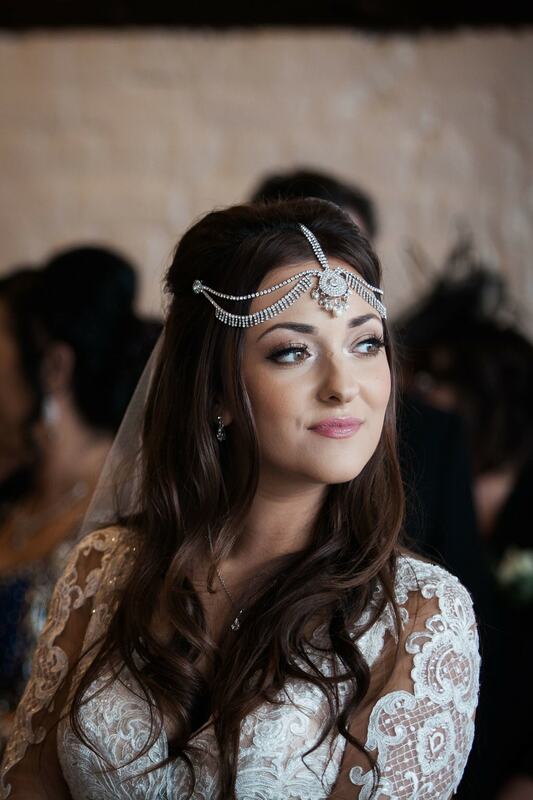 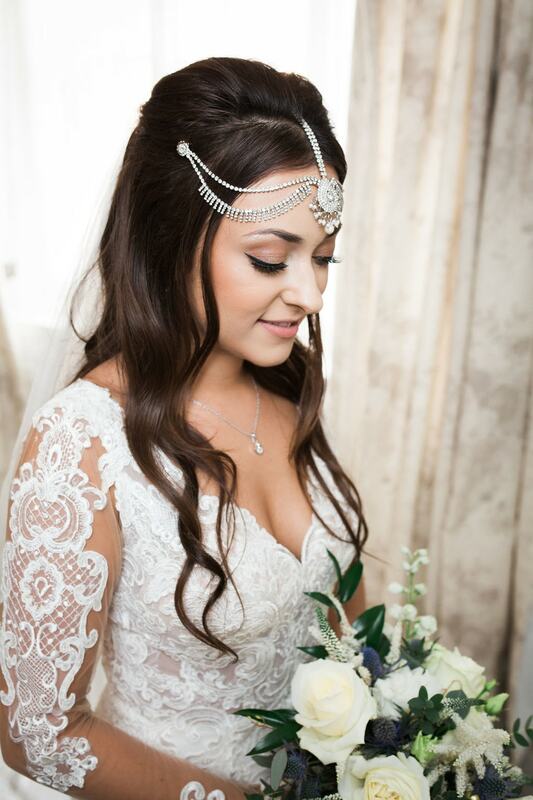 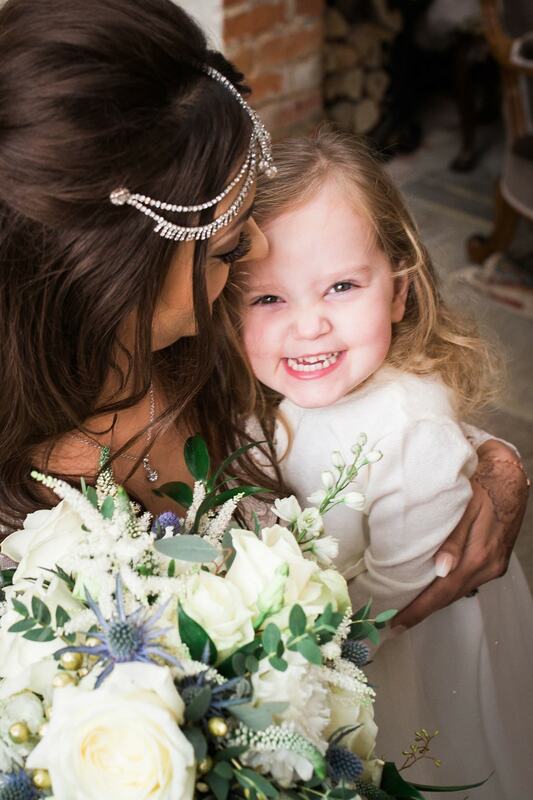 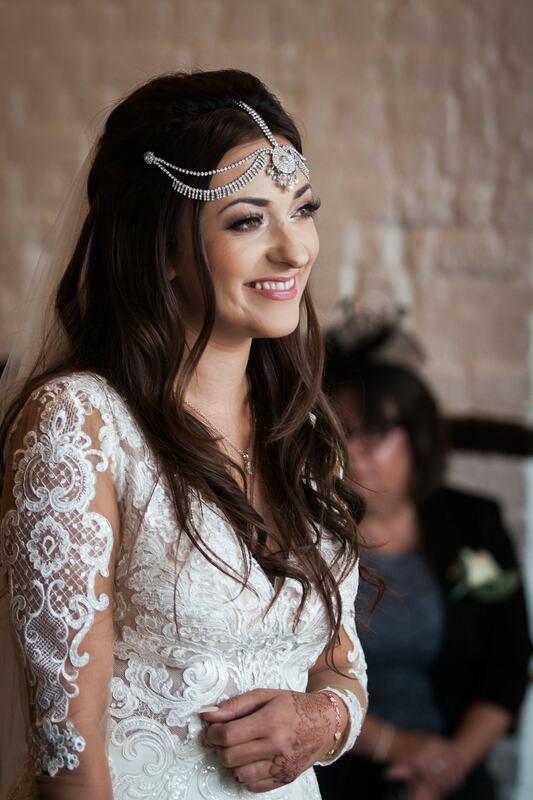 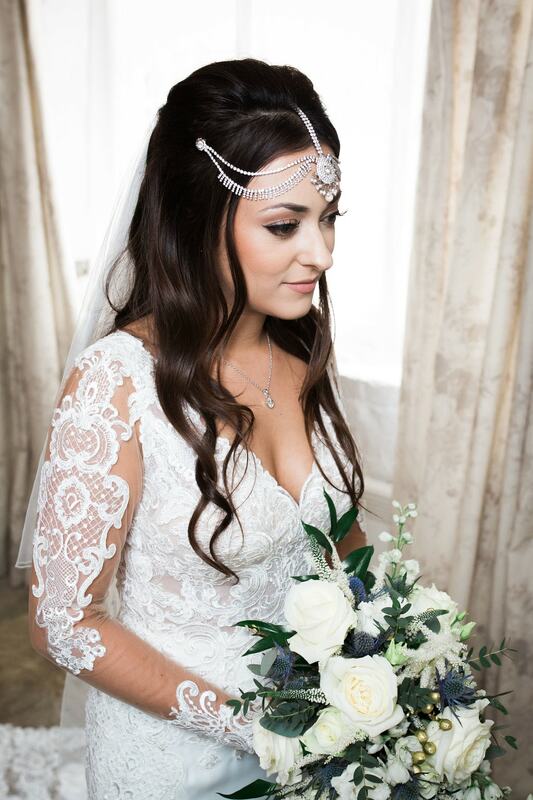 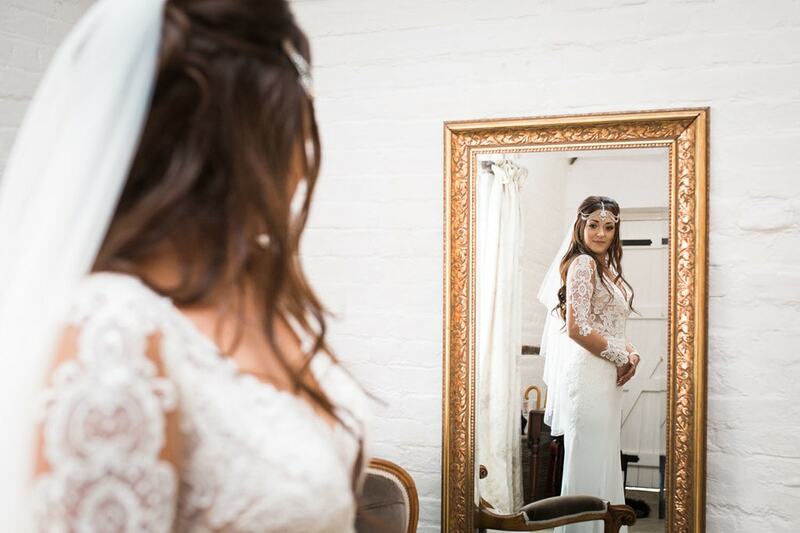 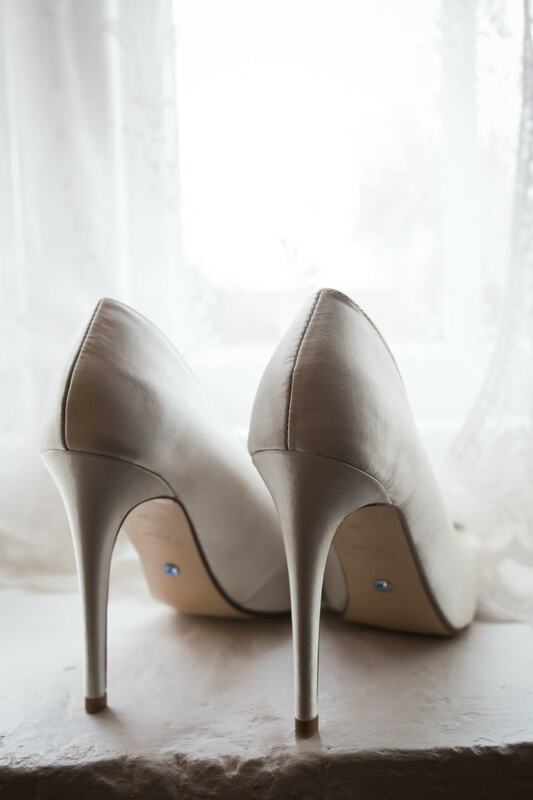 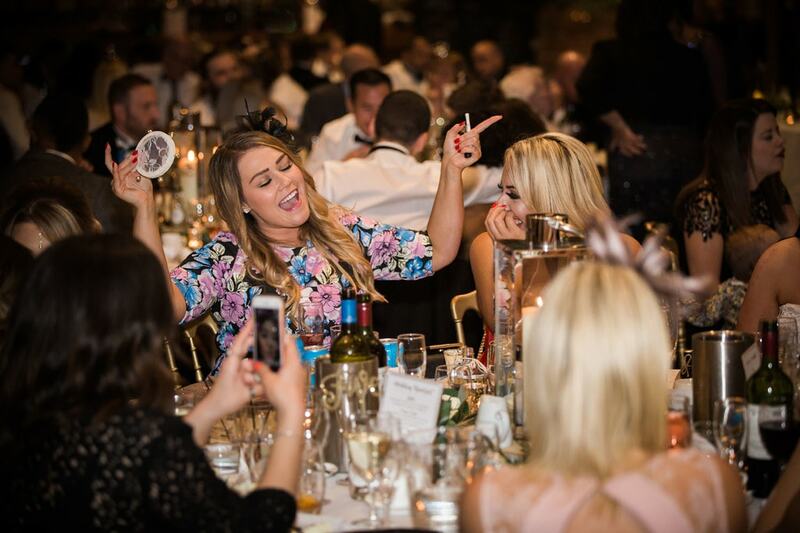 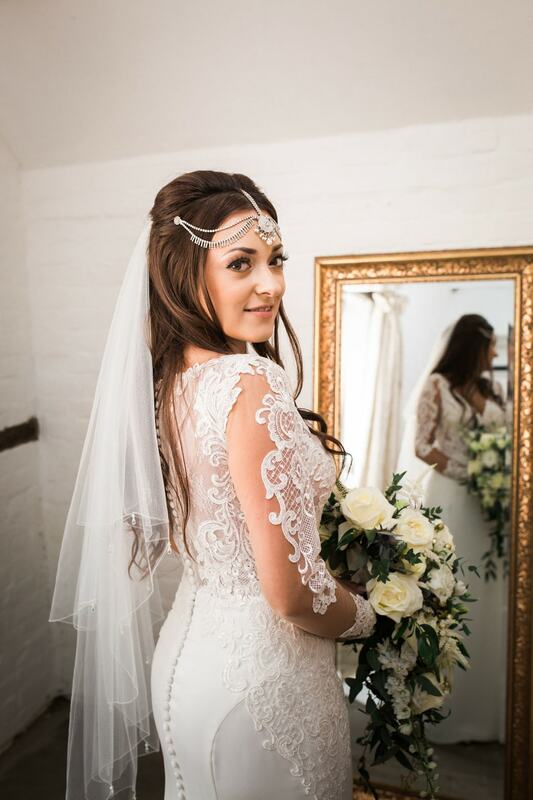 Heni is a lifestyle and wedding photographer based in Buckinghamshire, UK. 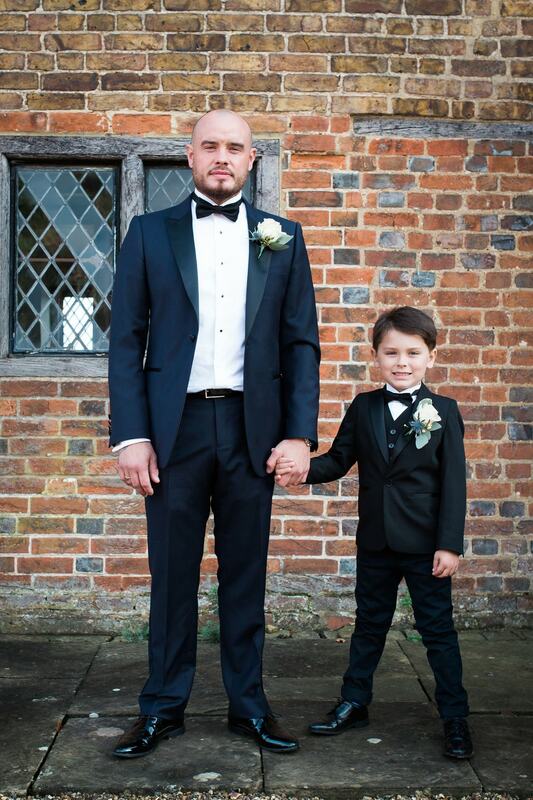 He loves taking photos and works in a very distinctive style, combining candid documentary and natural light photography to create authentic, honest images. 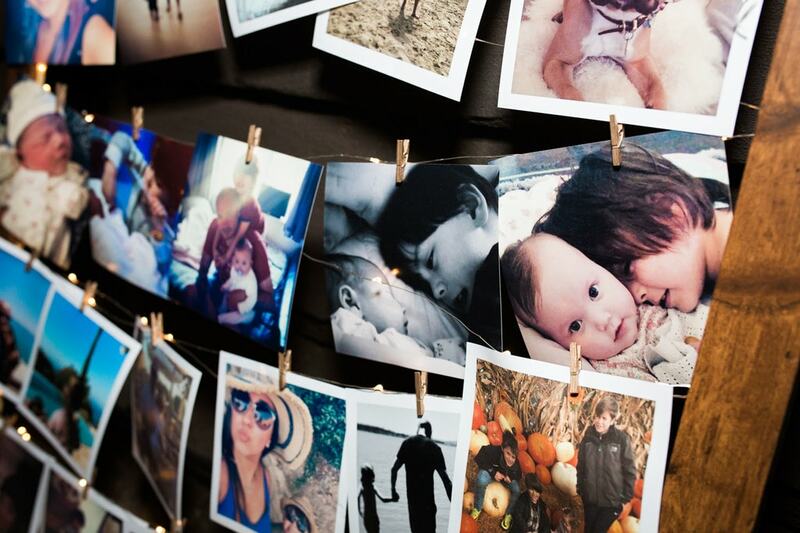 He cares about capturing true expressions, timeless moments and atmosphere. 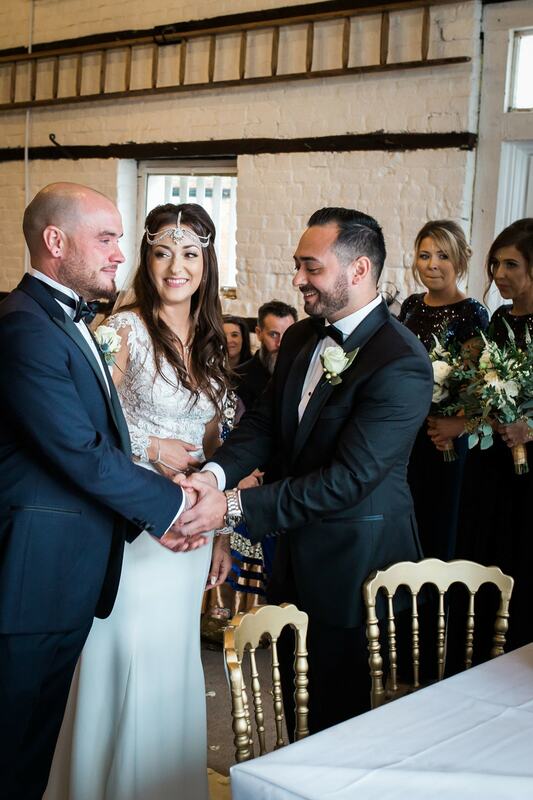 He says of the couple…. 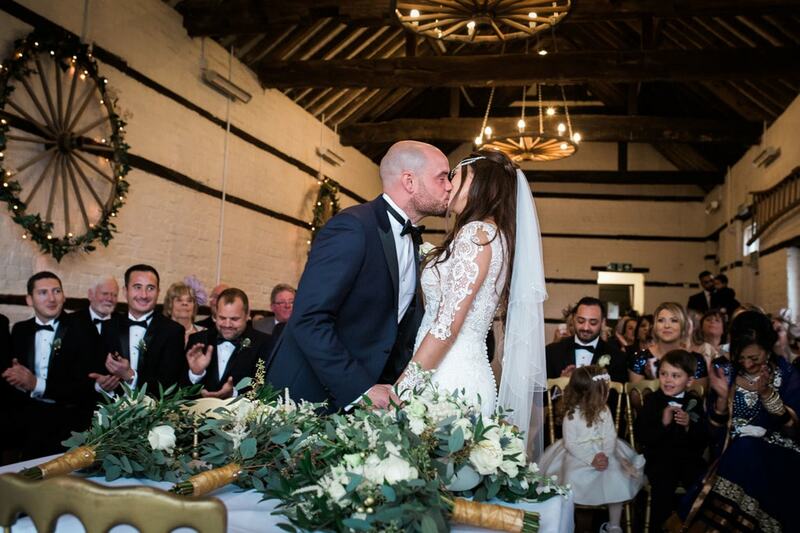 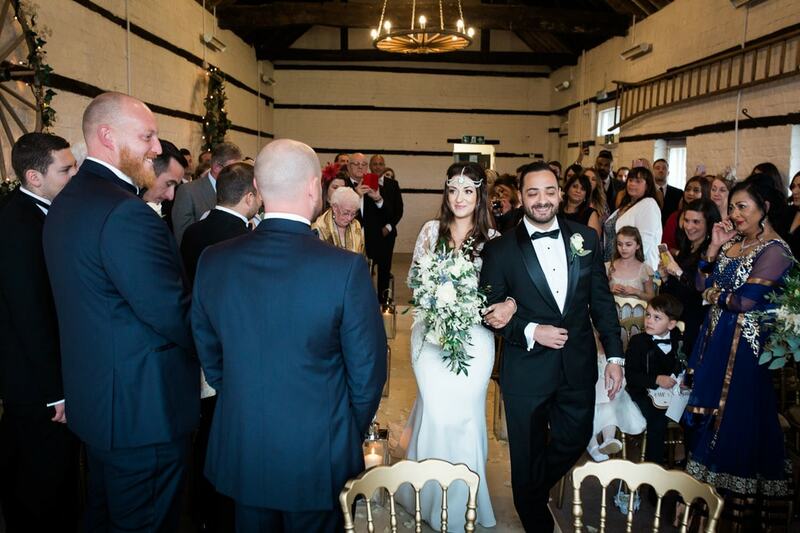 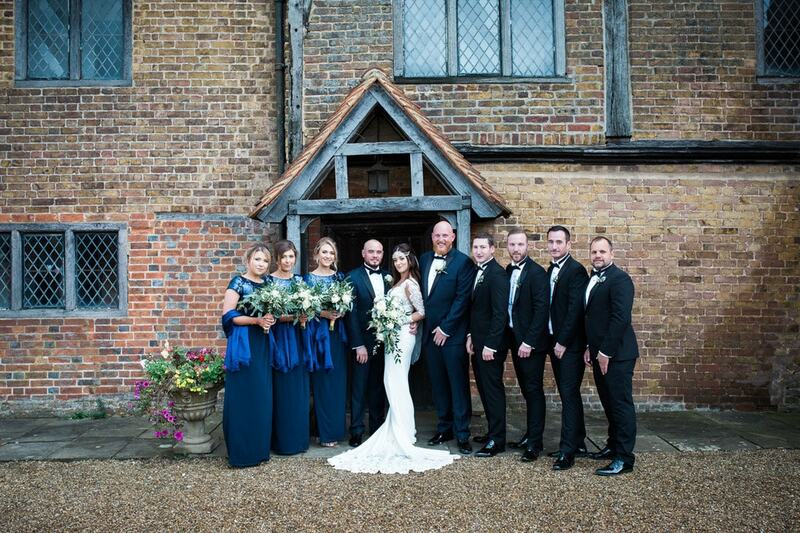 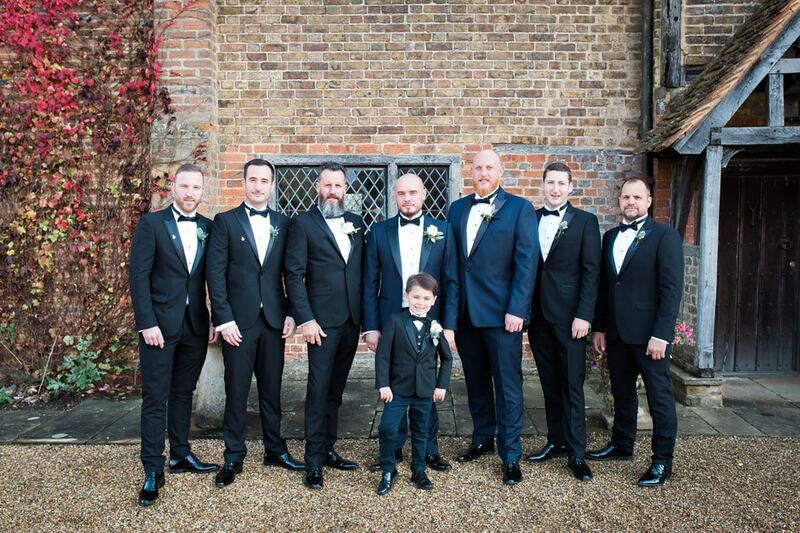 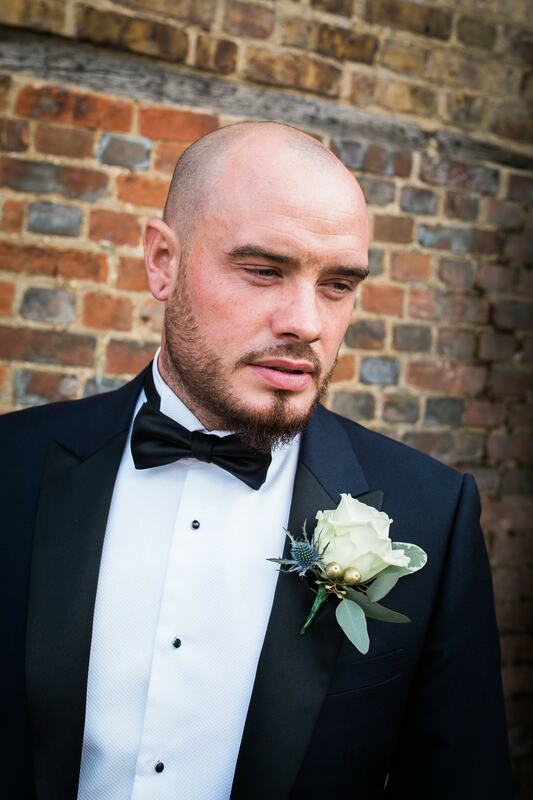 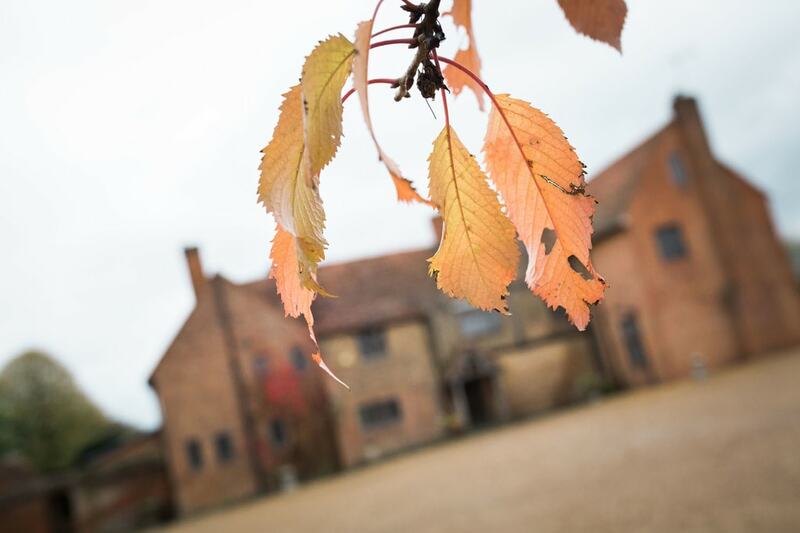 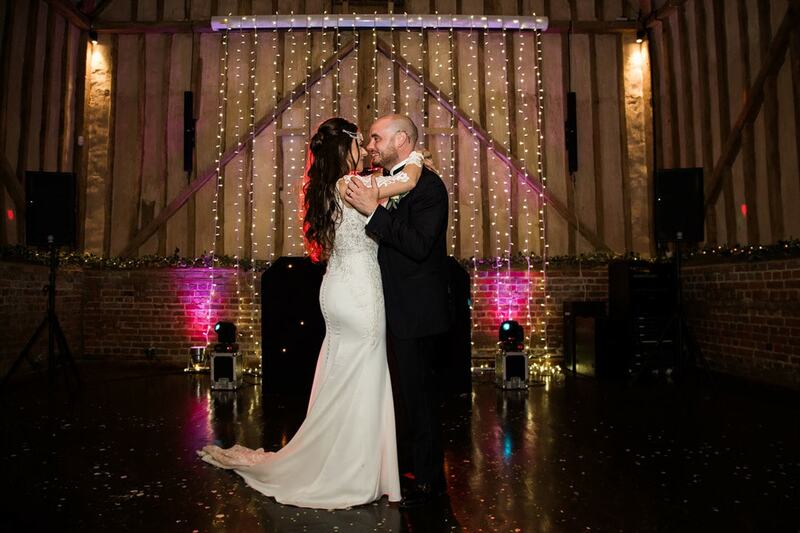 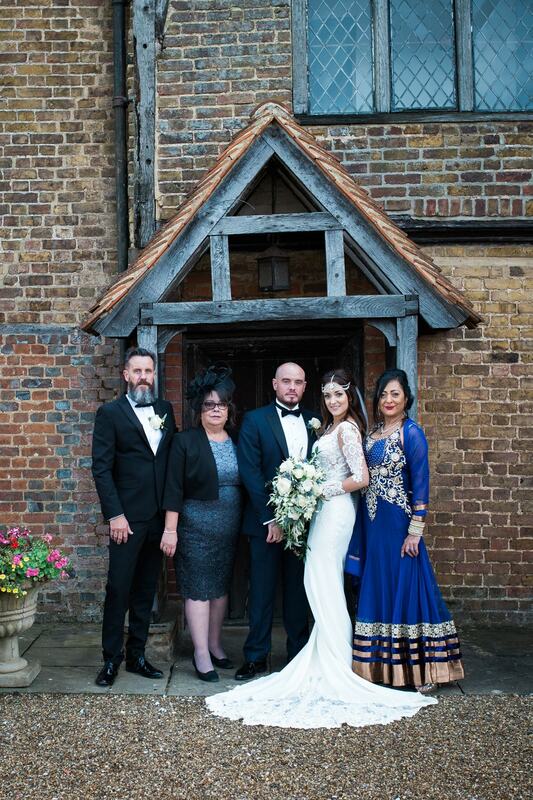 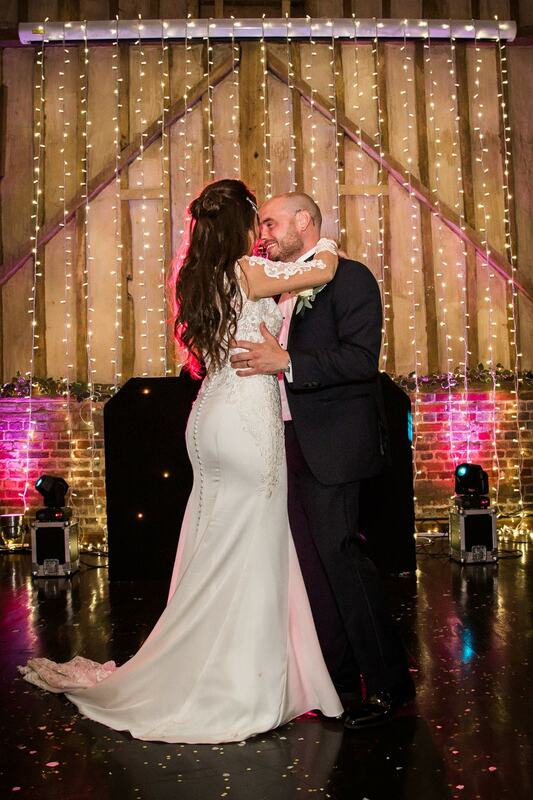 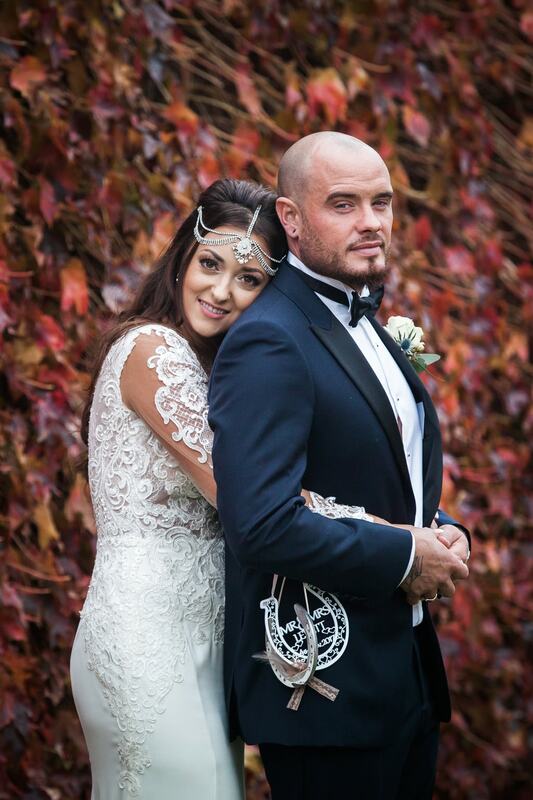 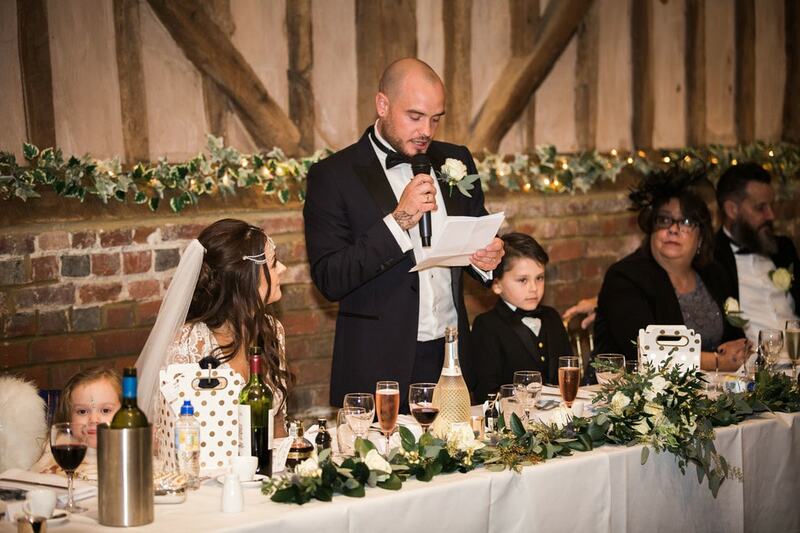 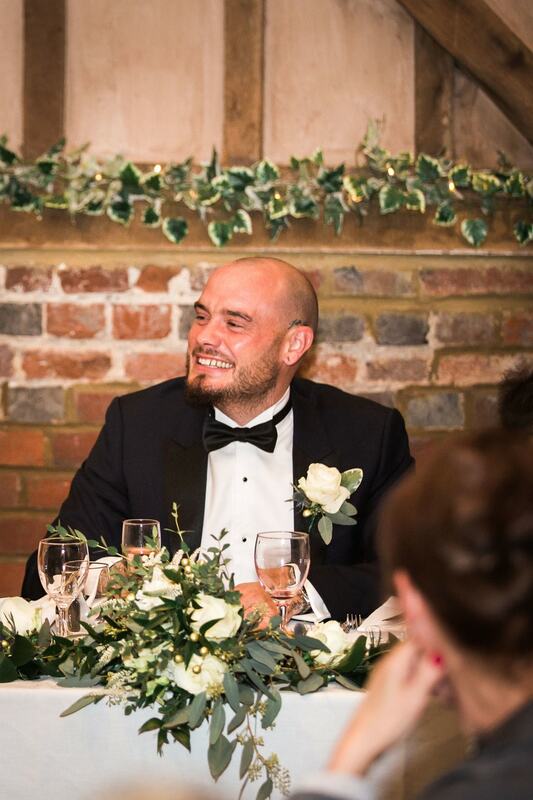 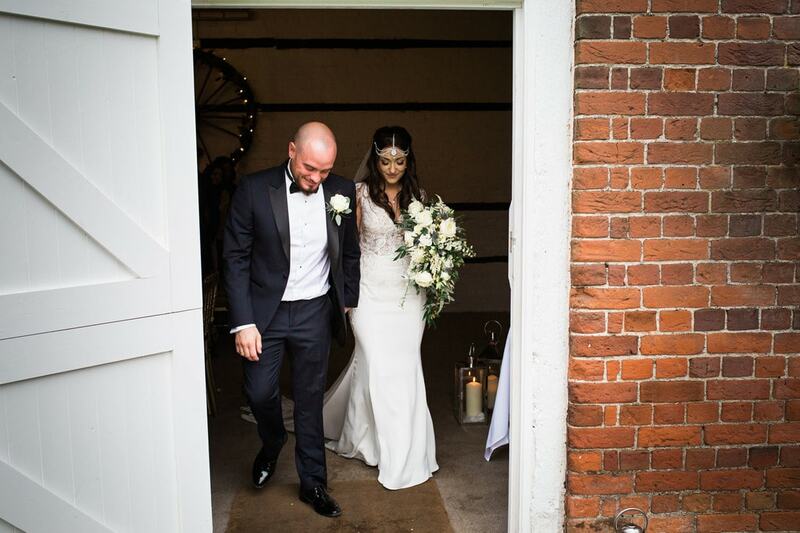 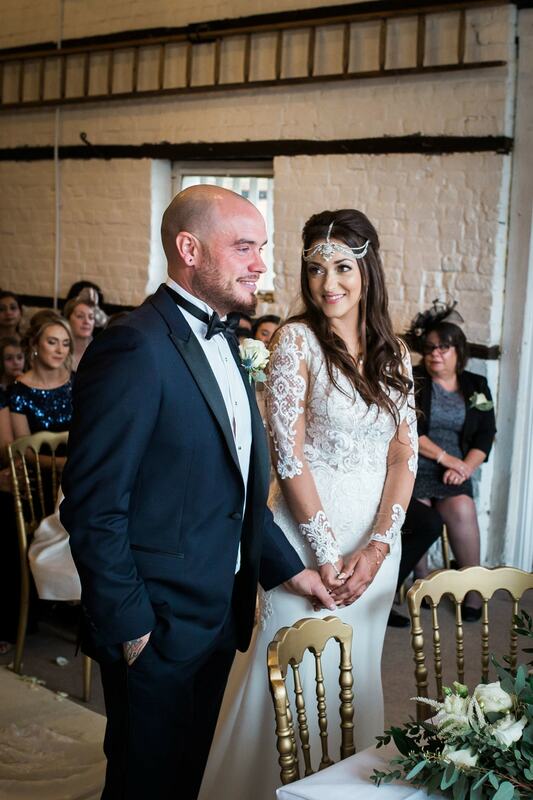 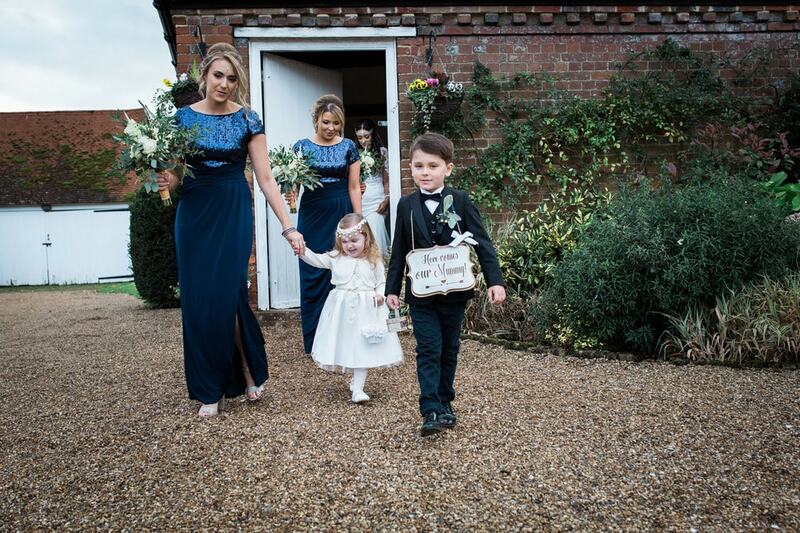 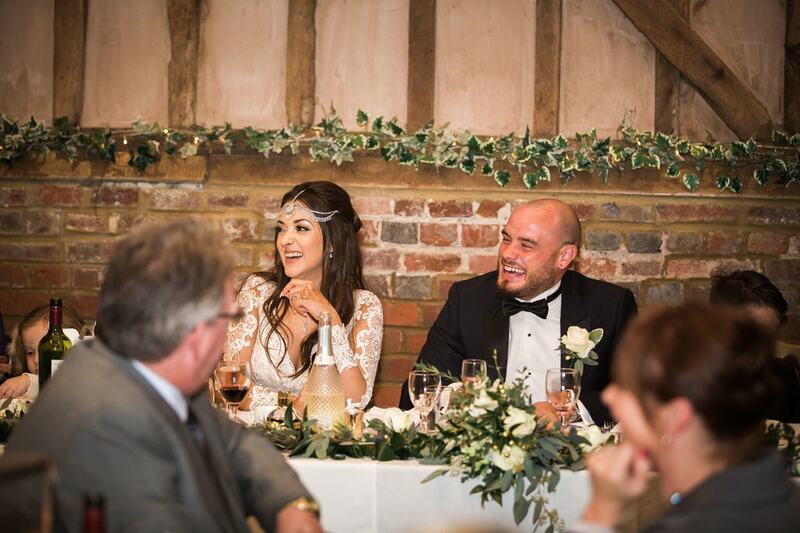 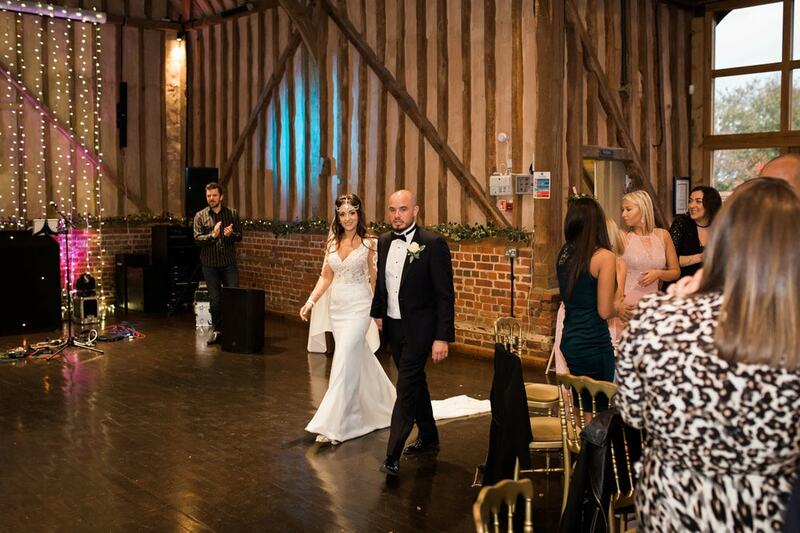 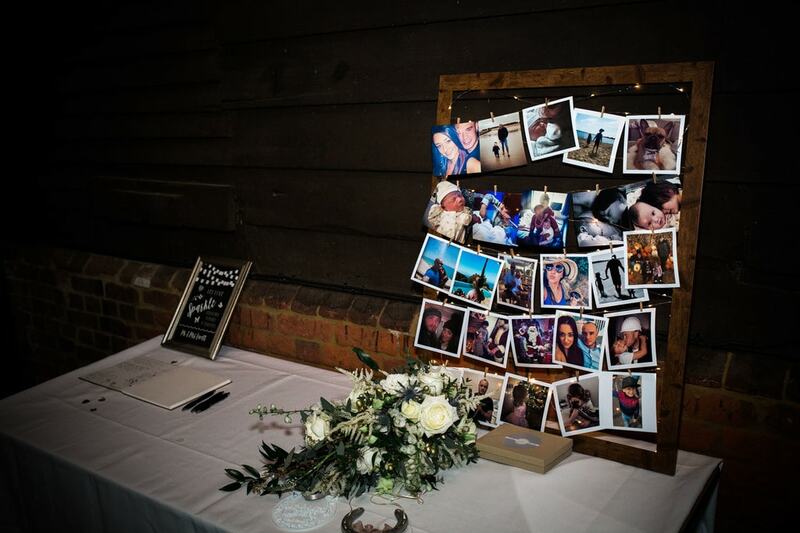 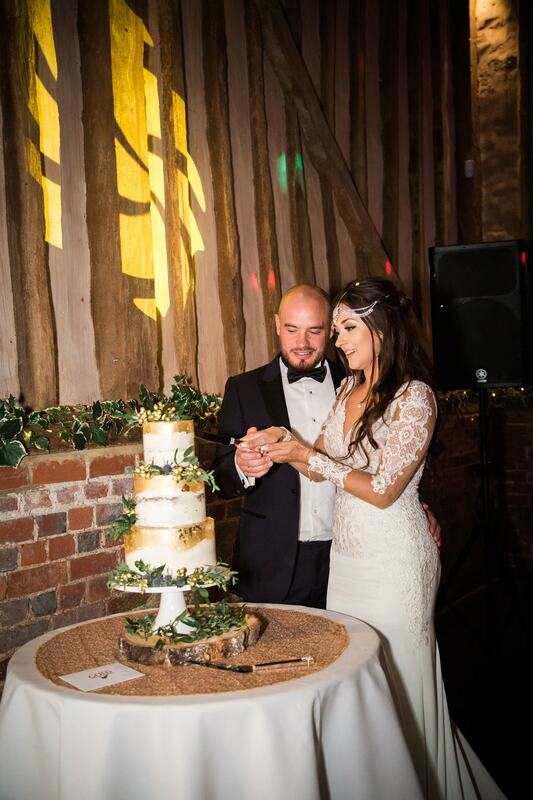 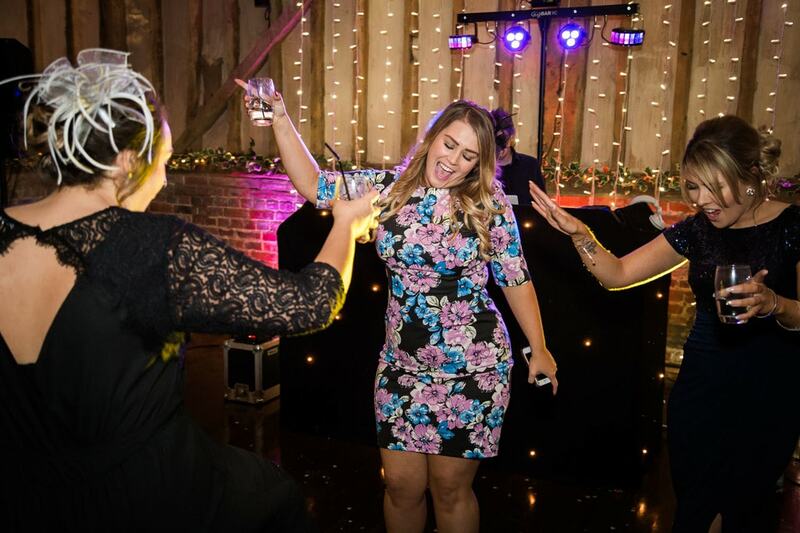 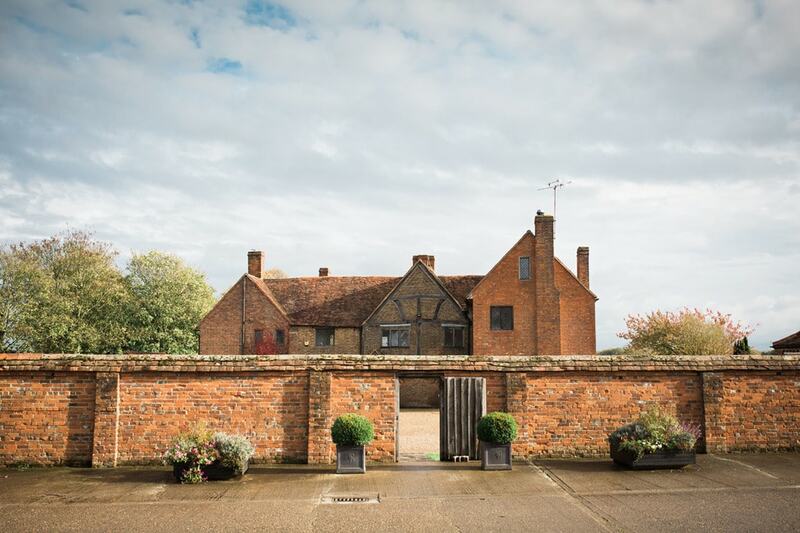 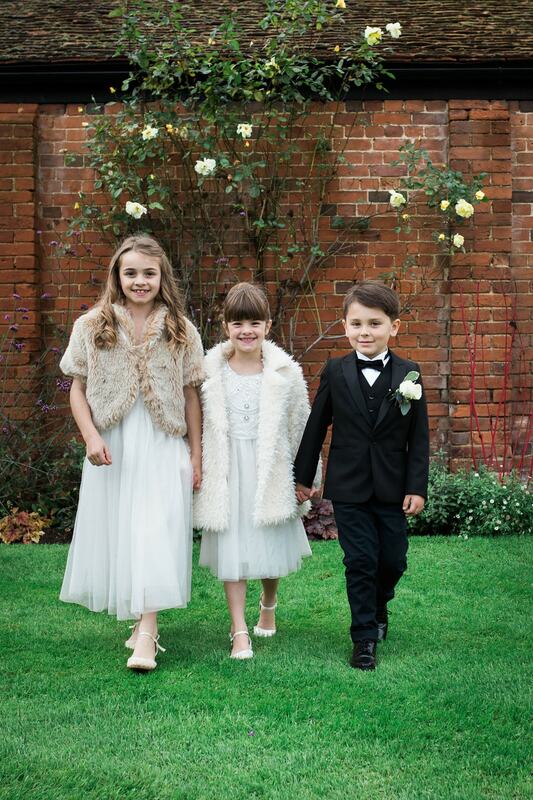 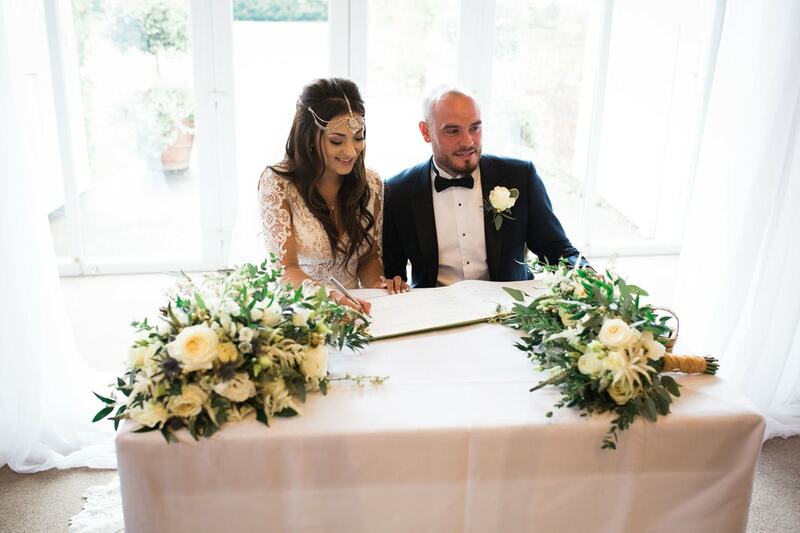 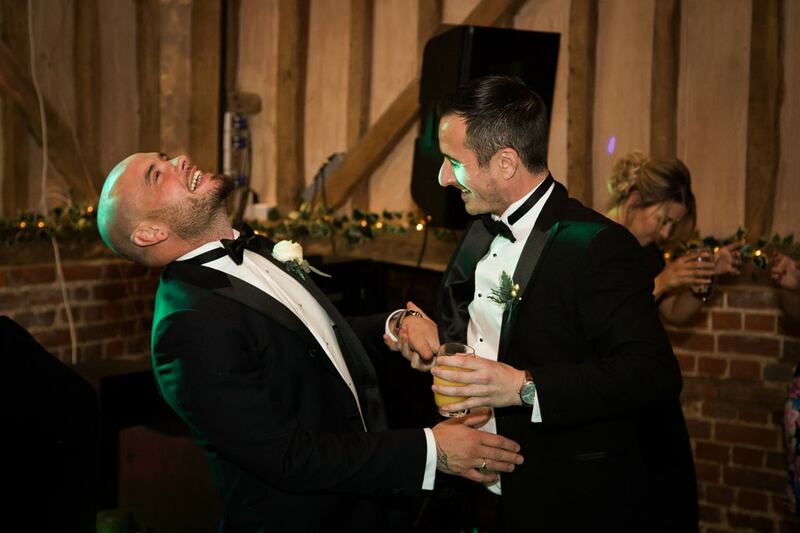 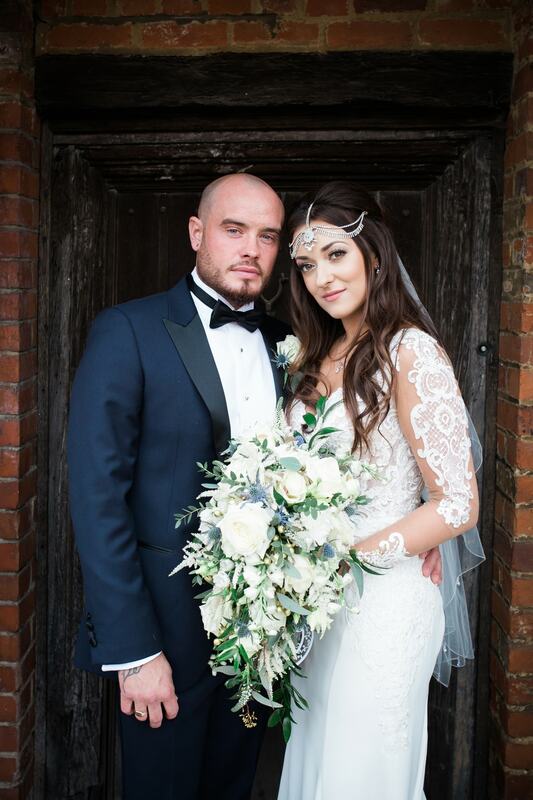 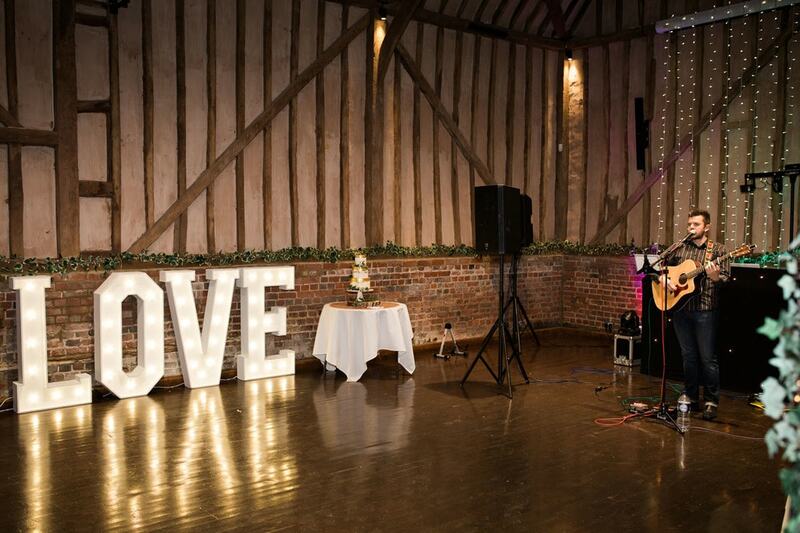 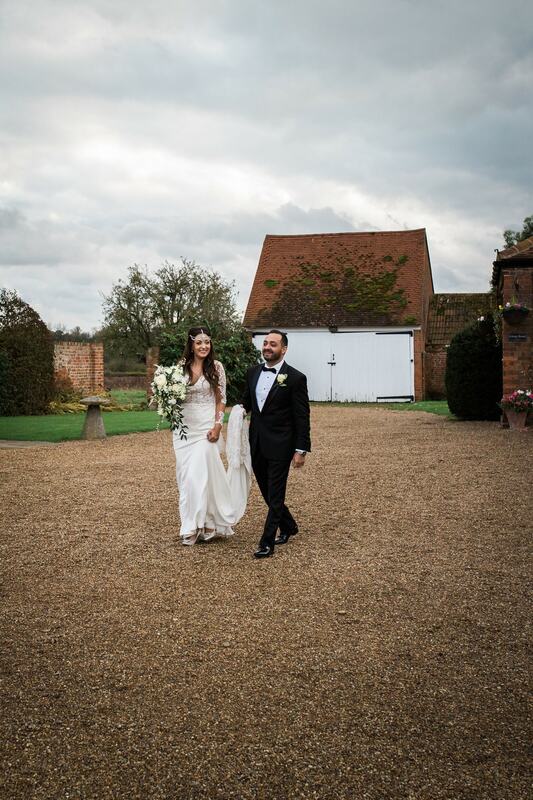 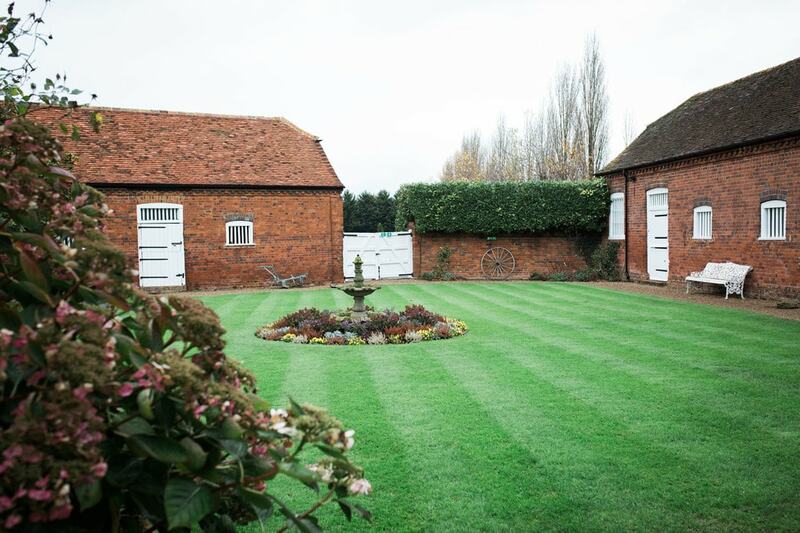 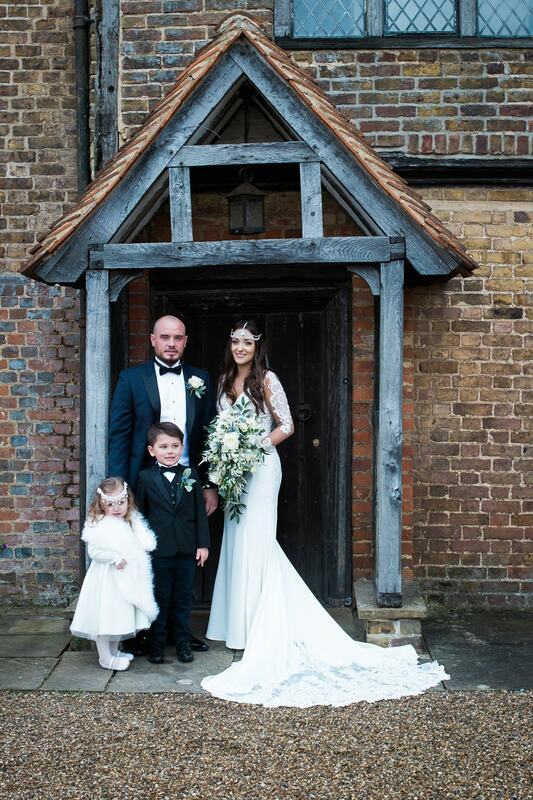 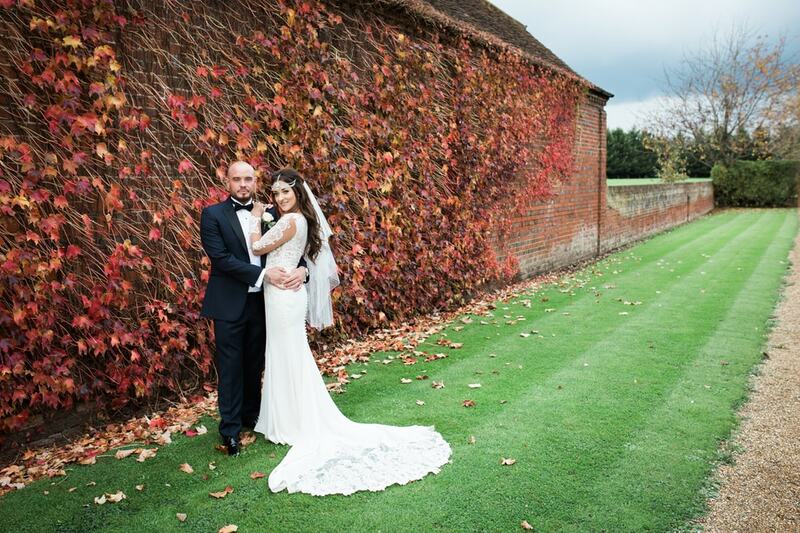 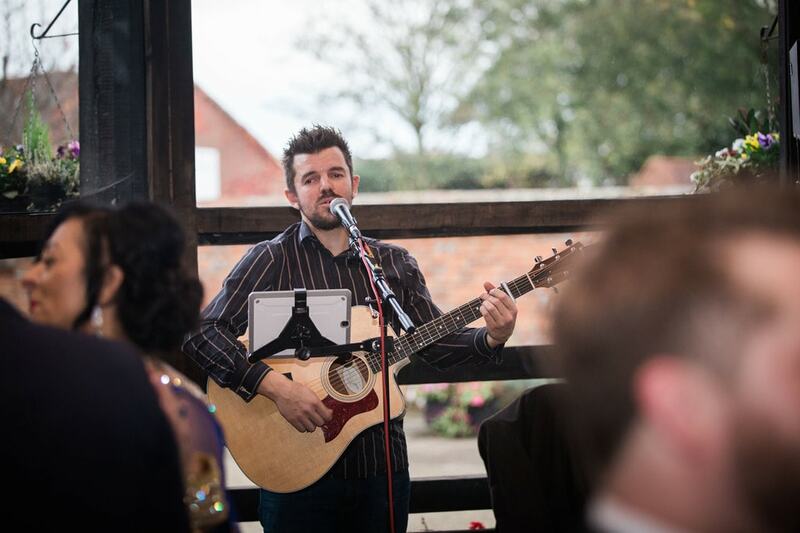 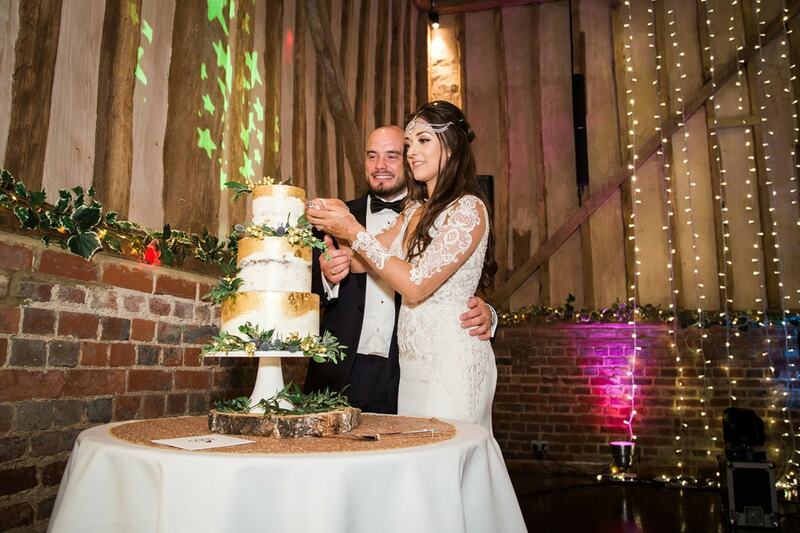 Louise & Jordan tied the knot at the Grade II listed Lillibrooke Manor & Barns in Berkshire. 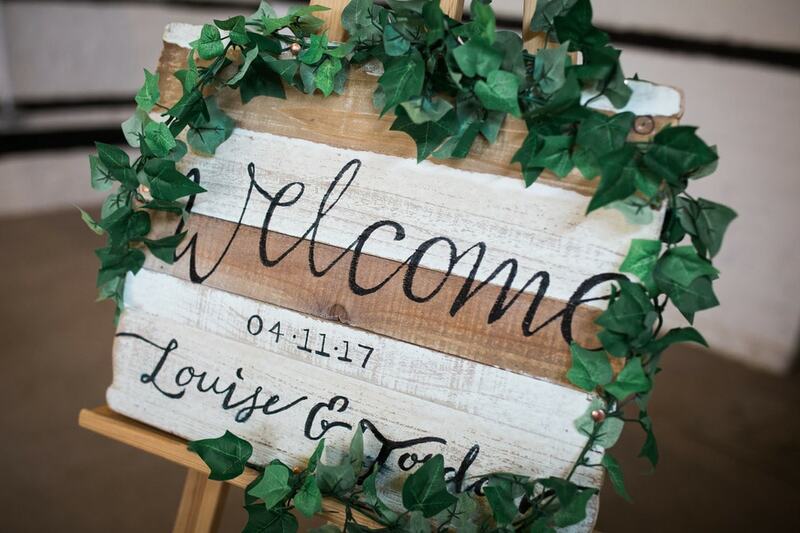 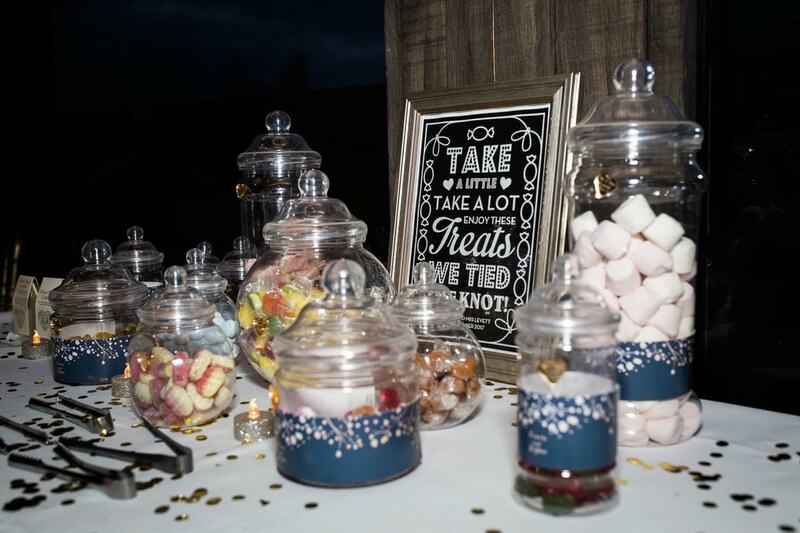 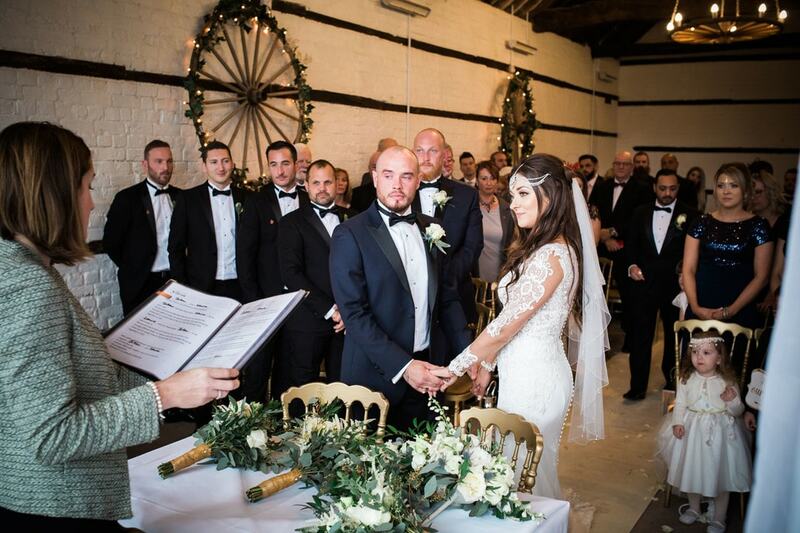 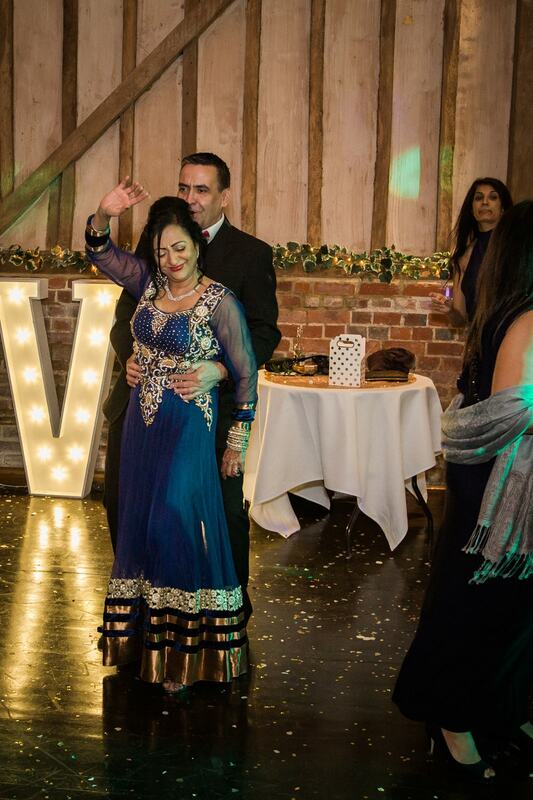 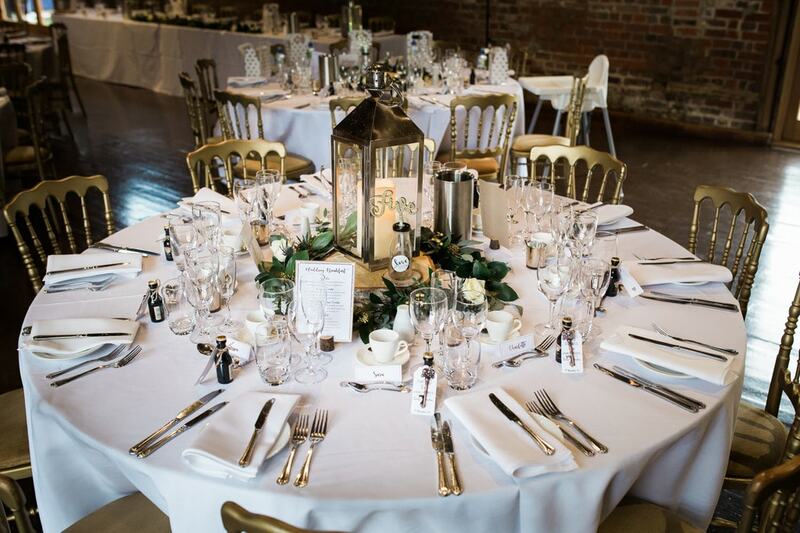 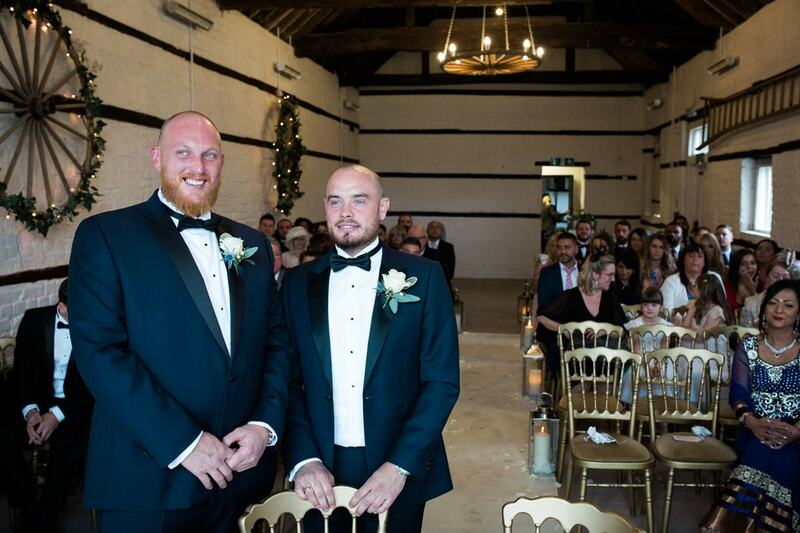 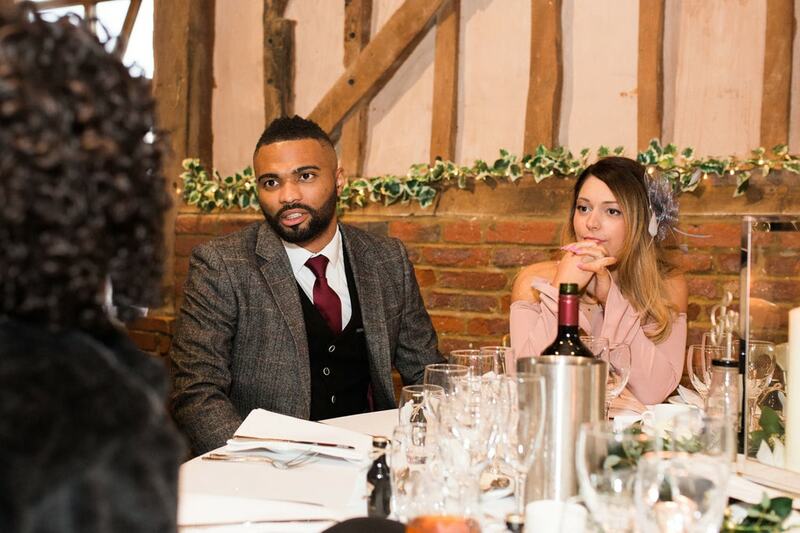 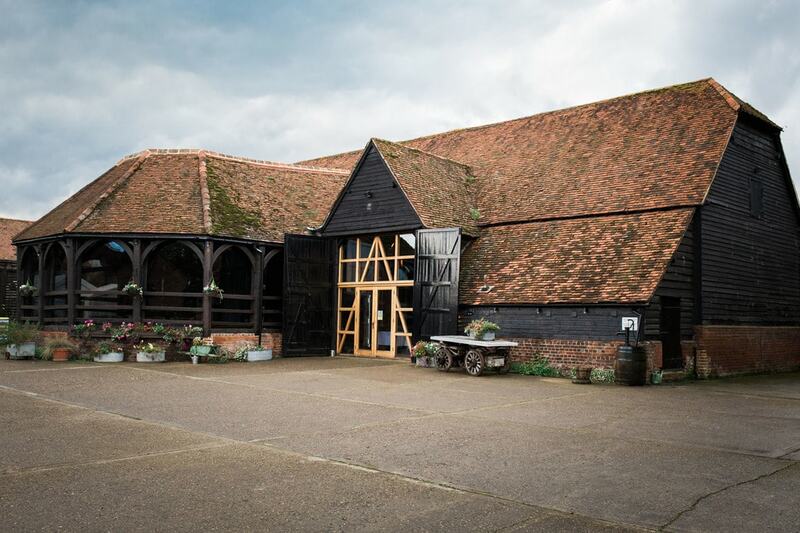 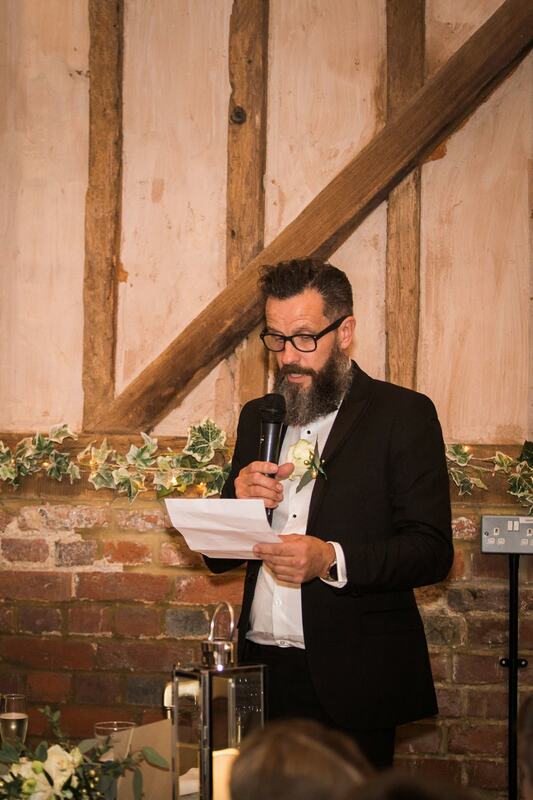 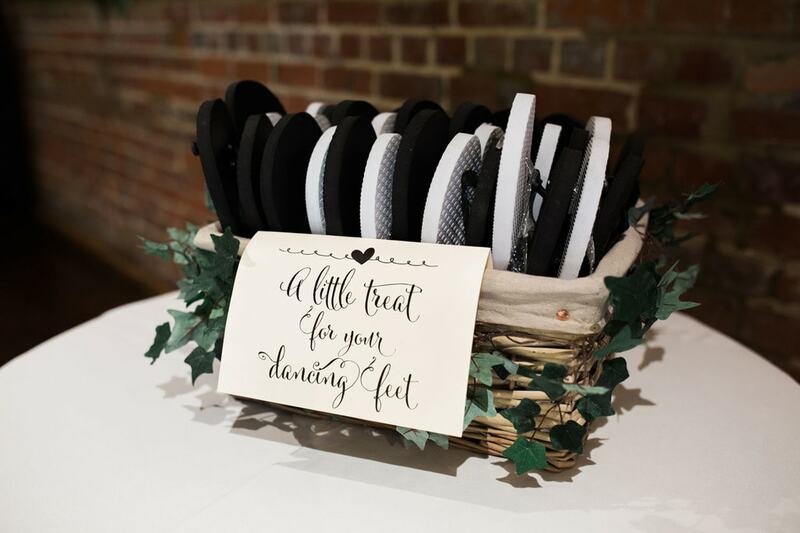 The couple exchanged vows and sealed the deal in the wedding barn followed by a three course wedding breakfast and evening reception in the great barn. 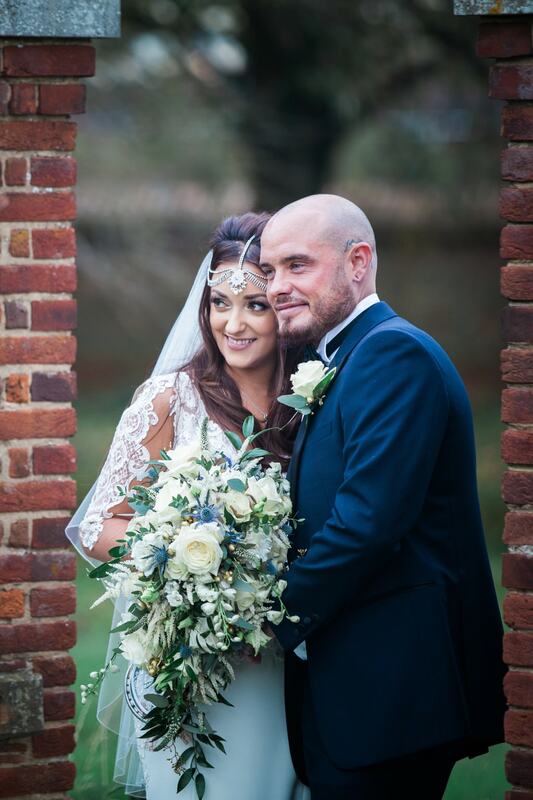 It was a clear, crisp afternoon and the venue provided the perfect backdrop for stunning wedding portraits of the happy couple. 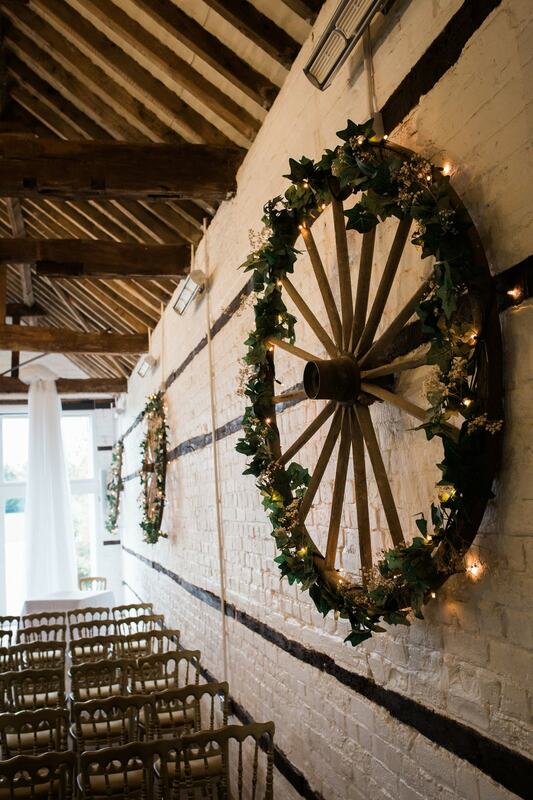 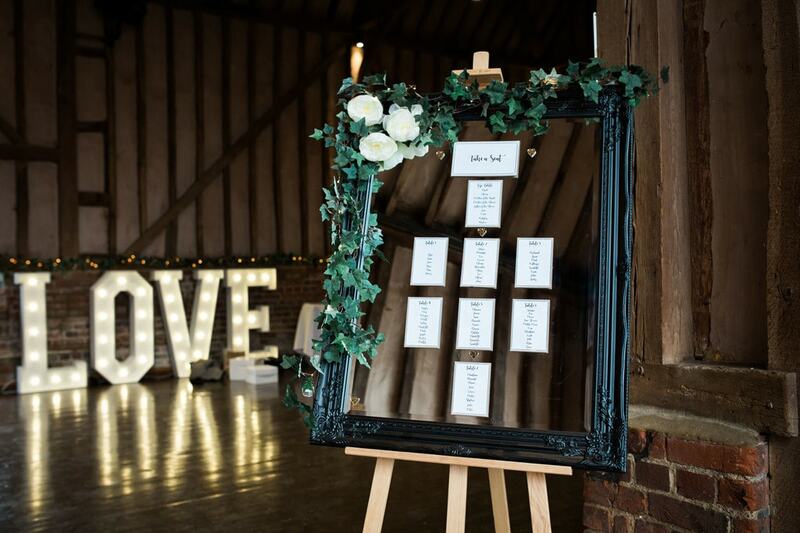 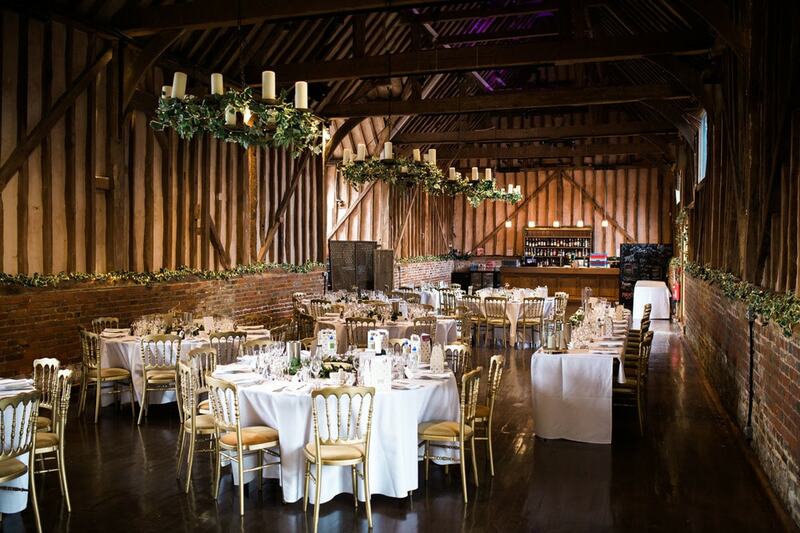 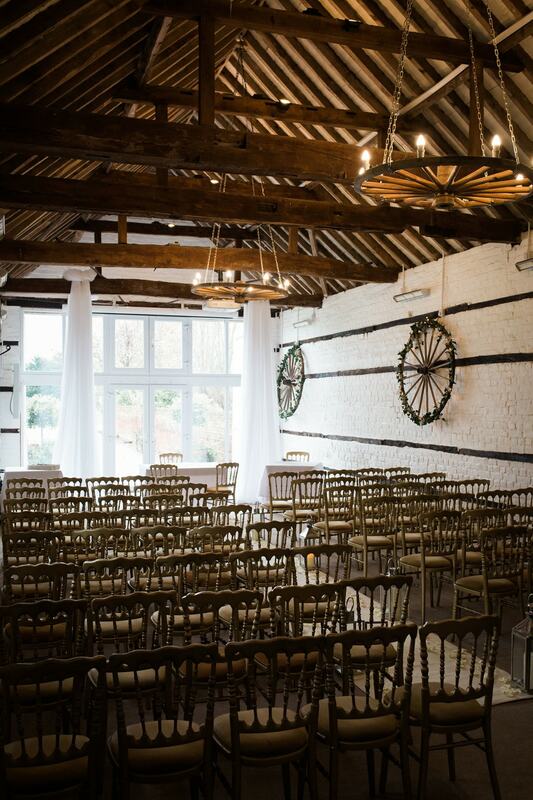 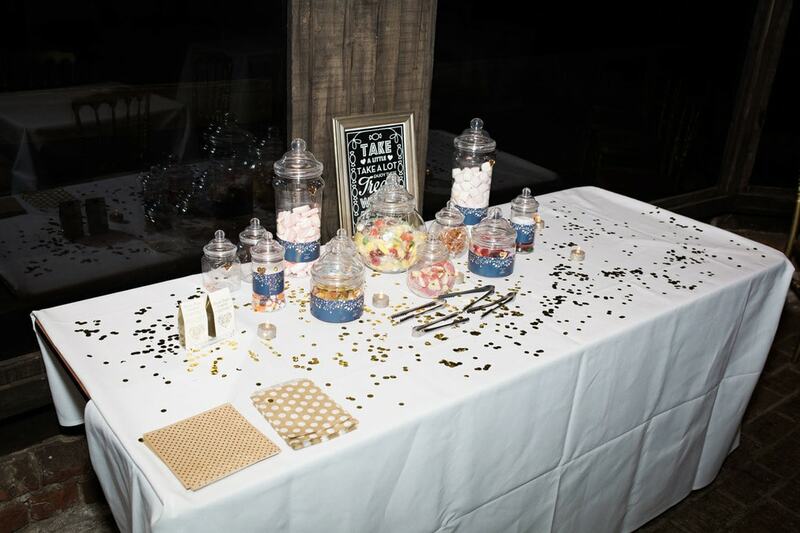 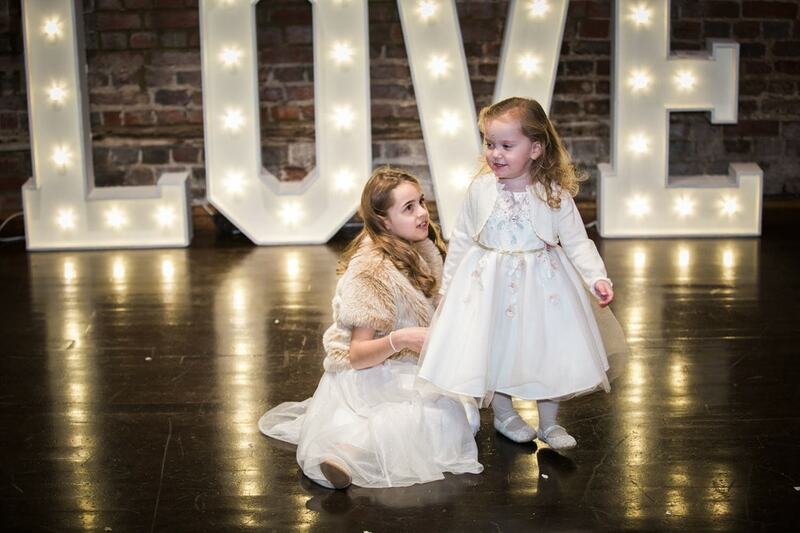 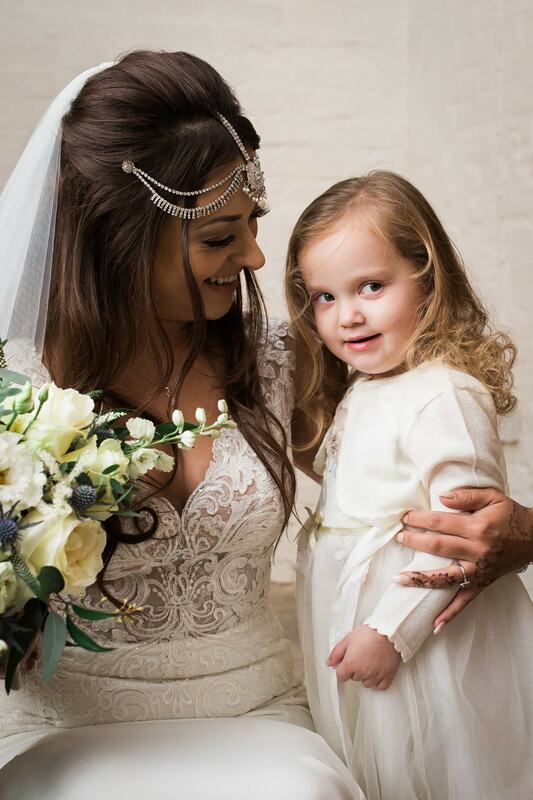 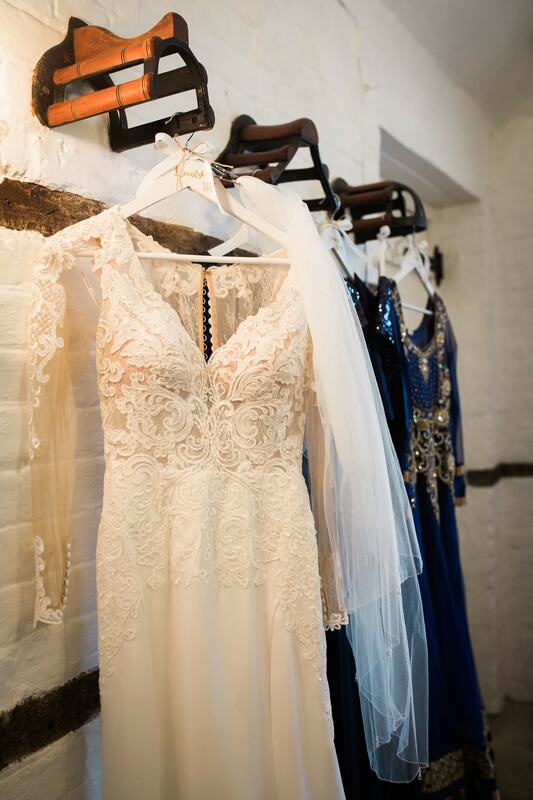 The great barn was beautifully decorated with fairy lights and plenty of pretty details. 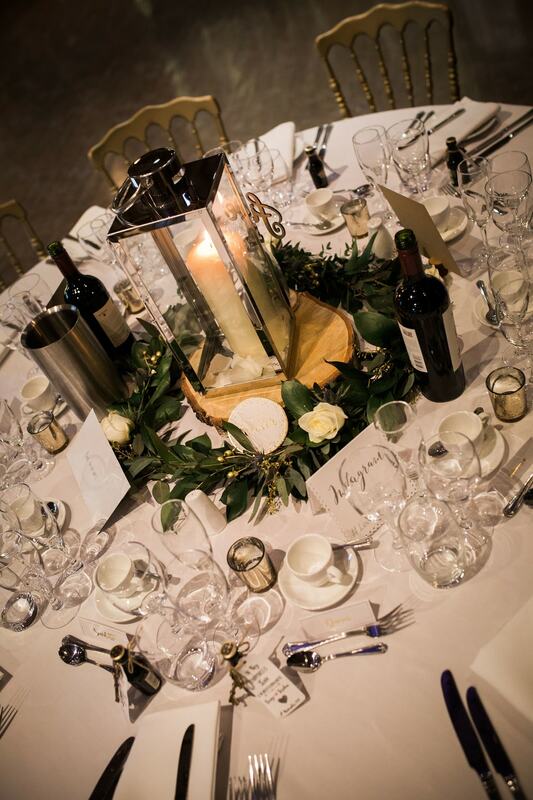 The bride sourced lanterns and created the table centerpieces, which perfectly suited the style of venue. 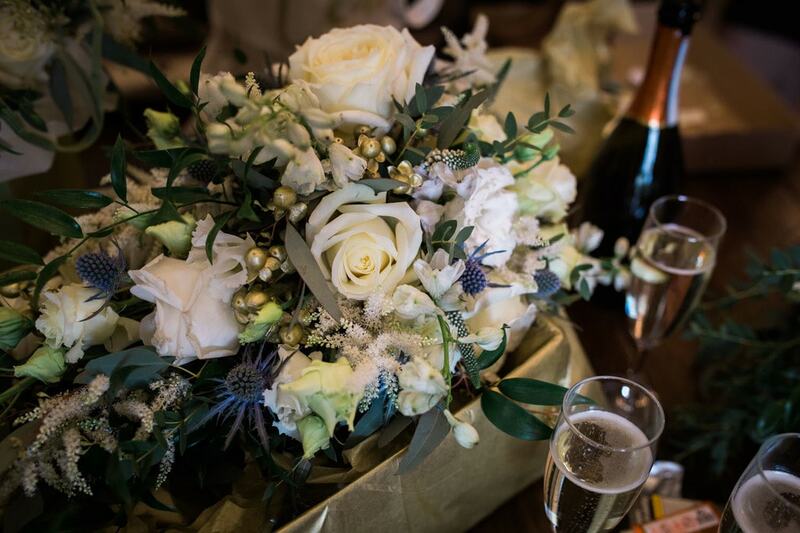 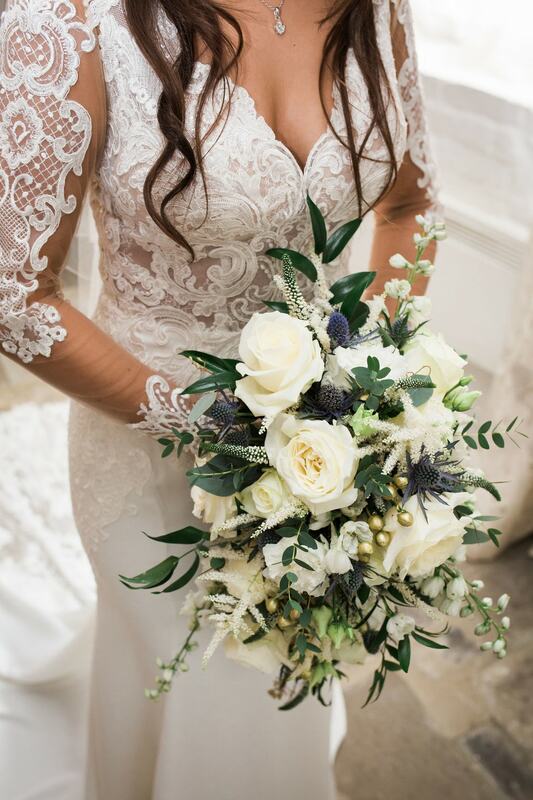 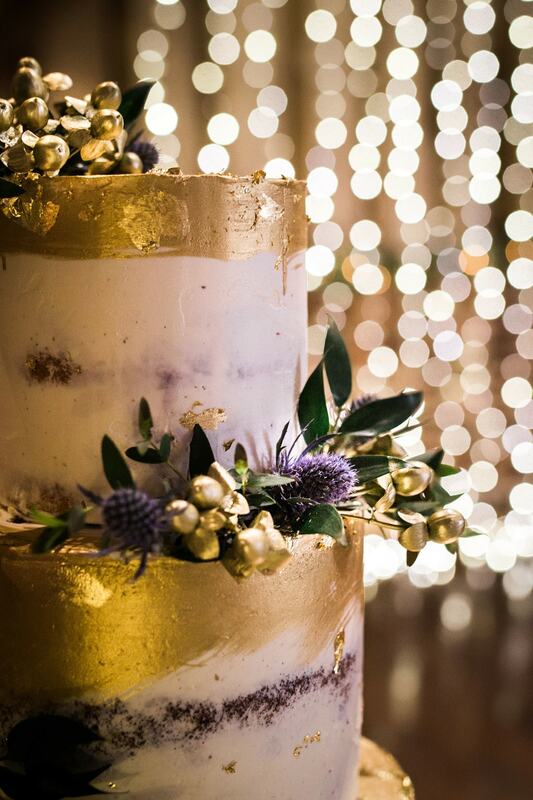 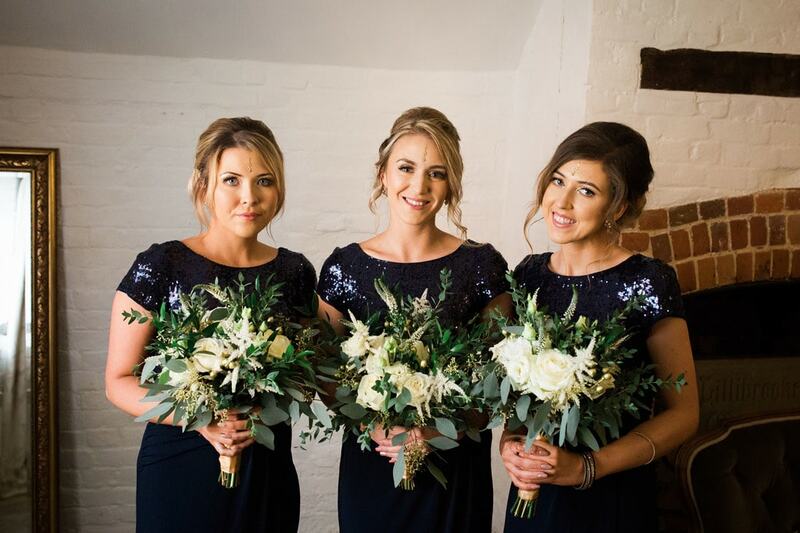 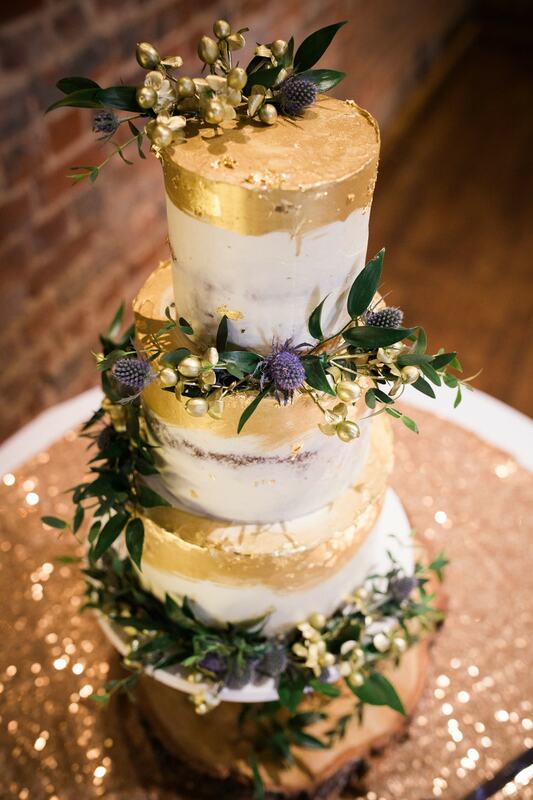 The stunning floral arrangements and bouquets were created by Daisy Jane’s in Taplow and the beautiful cake decorated with golf leaf, roses and thistle were made by Gordana from Just Because Cakes. 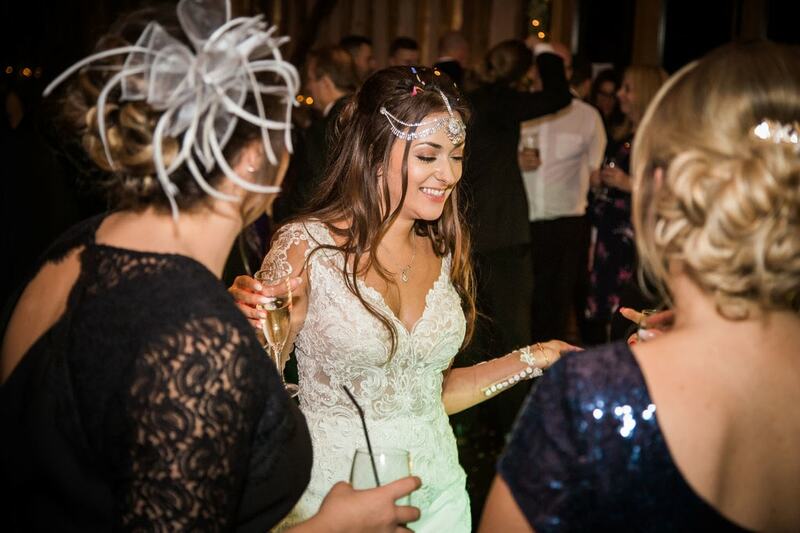 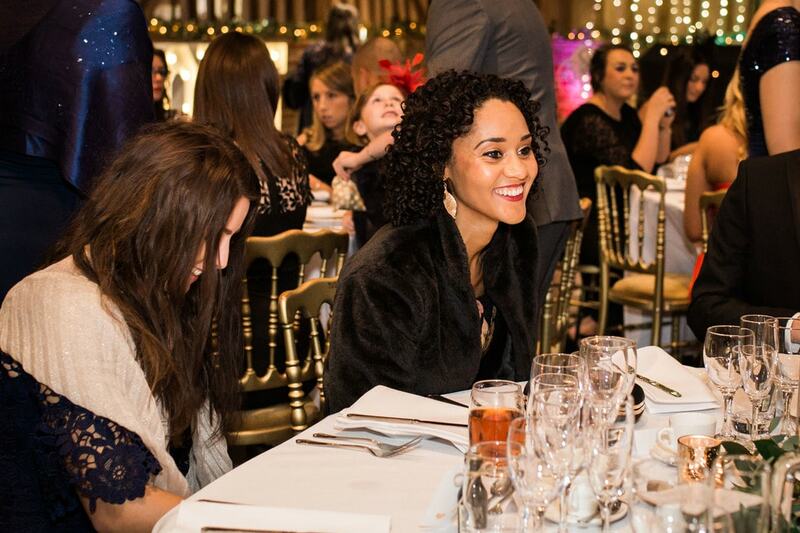 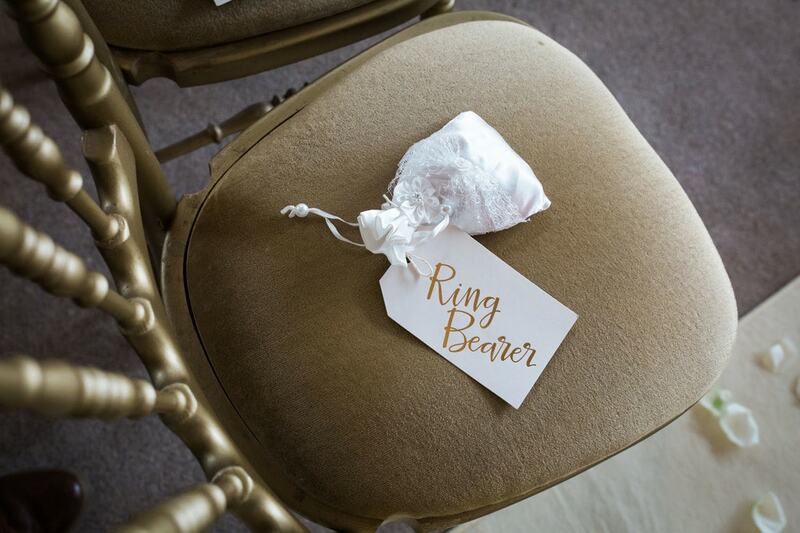 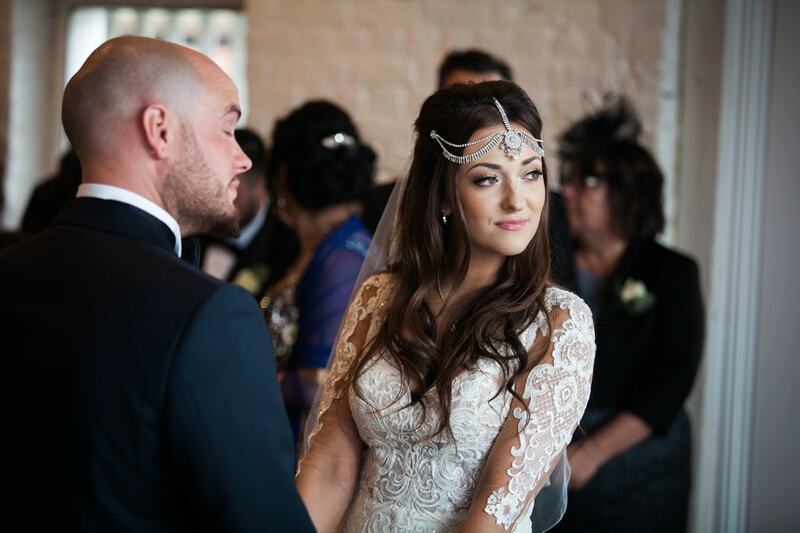 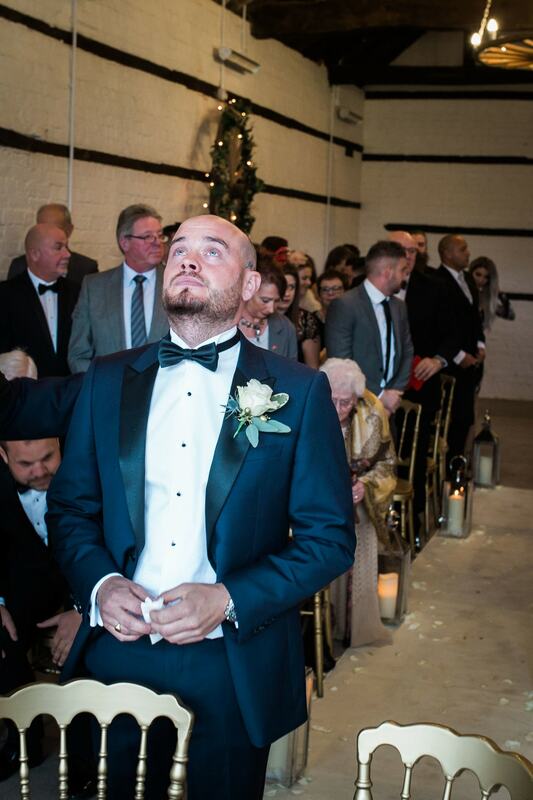 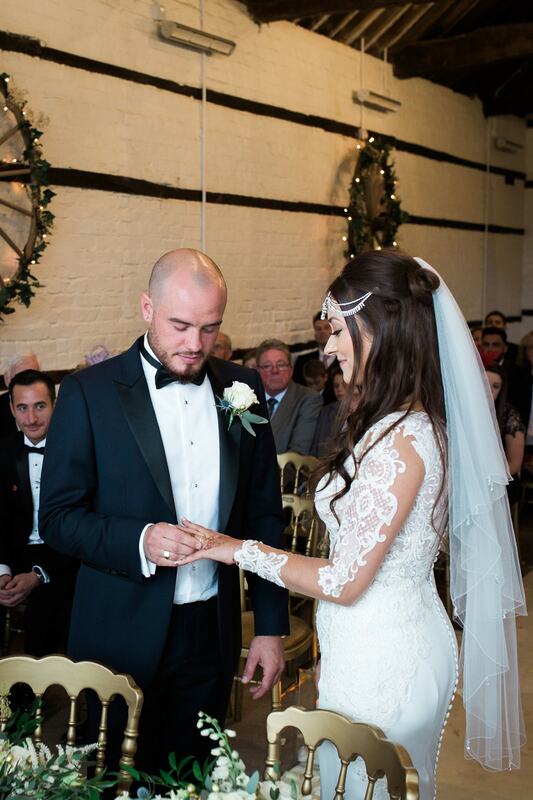 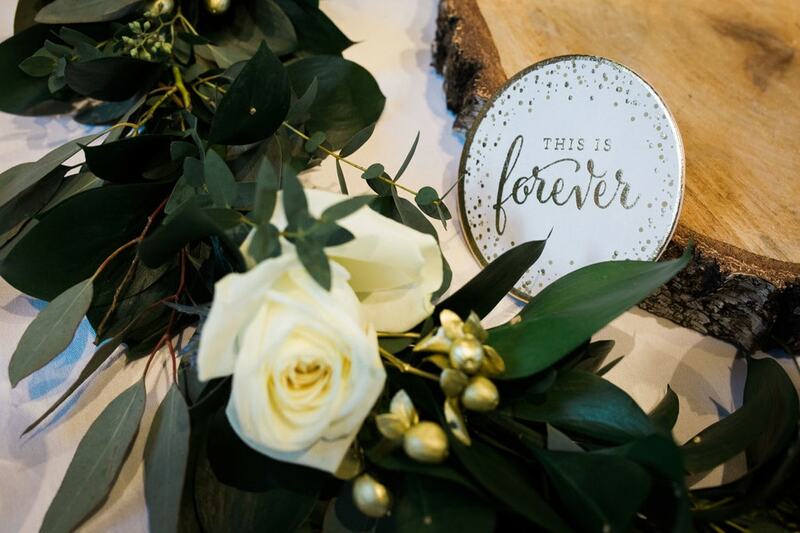 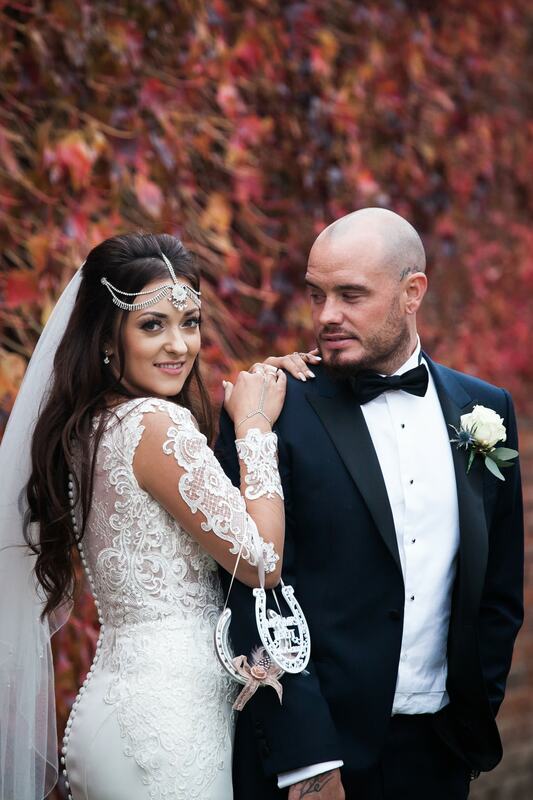 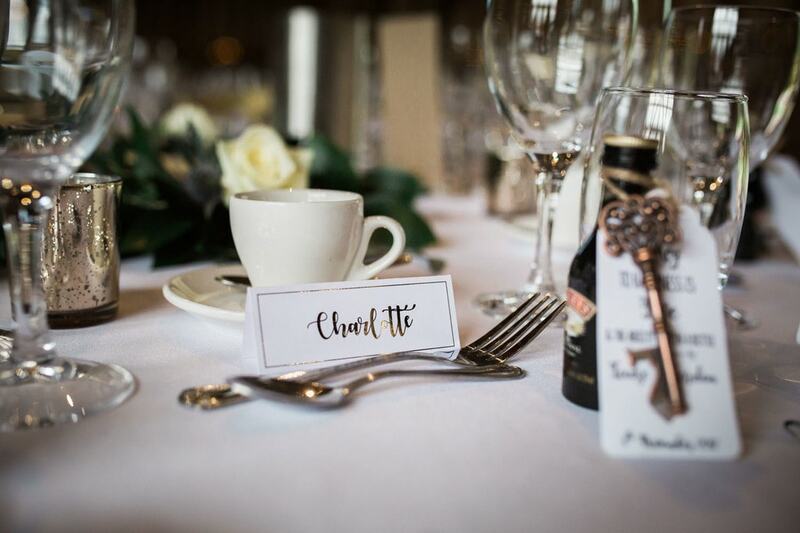 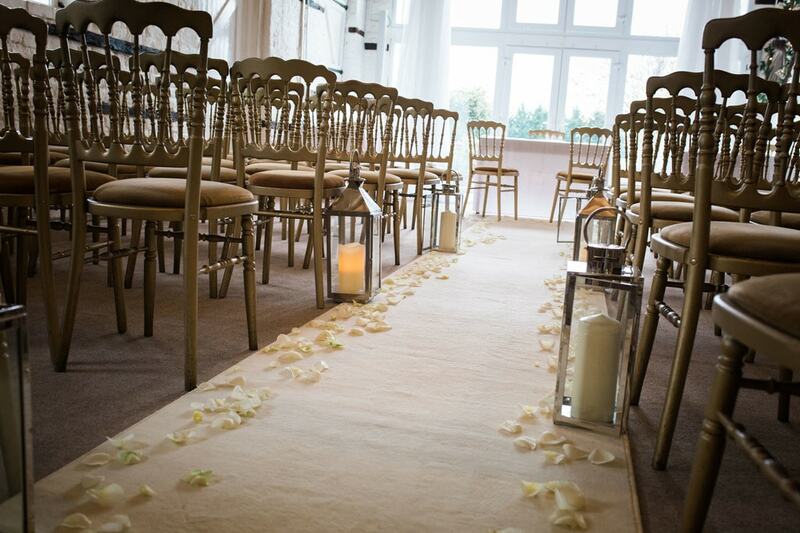 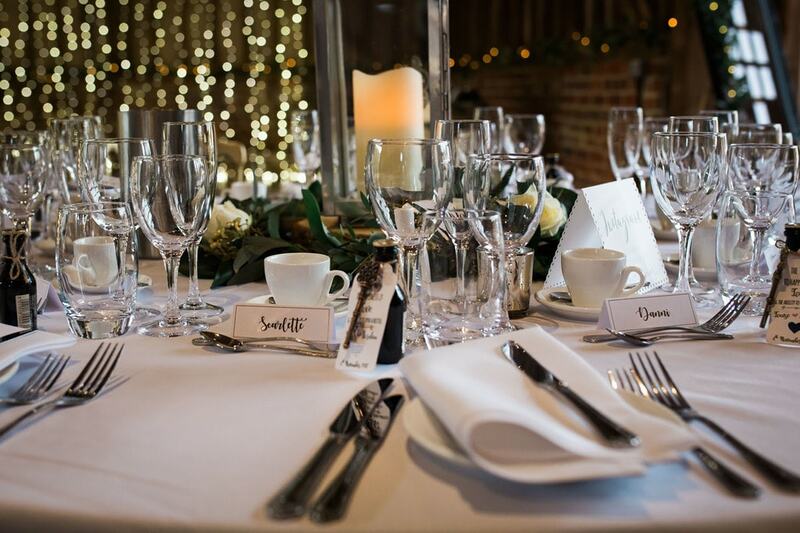 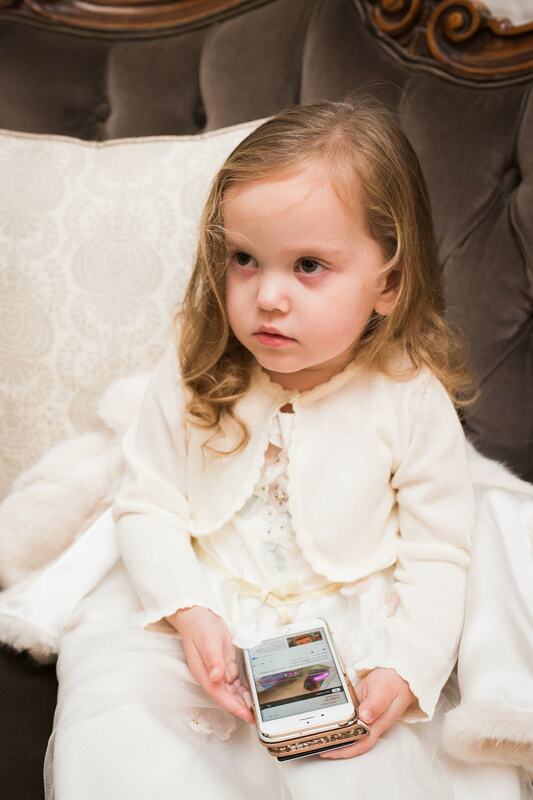 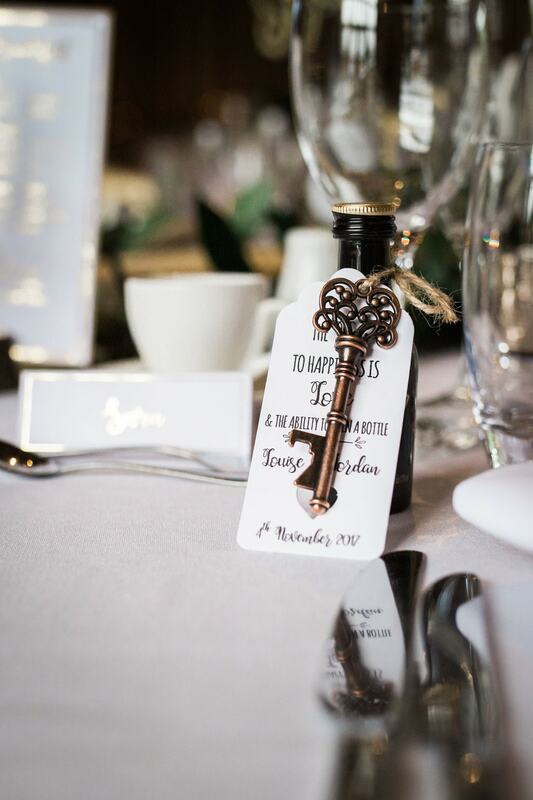 All the special touches added to the lovely ambiance of their beautiful winter wedding day.